The revolutionary fighting ended with the surrender of Cornwallis’s troops at Yorktown in October 1781. The formal treaty granting American independence was signed in Paris in 1783. Much work, however, remained to be done; if the former colonies had continued in their current status under the Articles of Confederation, the future history of the United States would certainly have been very different. The individual states saw themselves as sovereign entities, and the Confederation Congress had virtually no power whatsoever over the combined affairs of the states. Problems had existed during the war, though General Washington had persevered despite haphazard support from what was supposed to be a national government. Although in some ways less critical, the problems that existed following the war continued to point out the weaknesses of the existing arrangement. More needed to be done. Some sort of stable government structure had to be created, and the result was the Constitution. Even that monumental step, however, could not guarantee the long-term success of the enterprise. It had to be tested, and many differences existed about how the Constitution should be interpreted. The period between 1783 and 1800 was critical. By the time Thomas Jefferson and the Republicans were elected in 1800, the future course of American history was suggested. The most radical idea to come out of the American Revolution was the idea of republican government. To be called a republican in Europe in 1780 was something like being called an anarchist in later times, or a political extremist in today’s world. That idea of republican government—government by the people—profoundly changed the relationship between men and women and their government. Some of those changes were subtle, but over the years their force was felt. Perhaps most important was the idea of virtue: Where did virtue reside in the political structure, and how could virtue be cultivated? In a state run by an aristocracy, a monarchy such as England’s, for example, the virtue—the goodness or quality or character—of the state was determined by the ruling class. Ordinary people had no real civic responsibility except to obey the laws. In a republic, from the Latin res publica, the people are responsible for the virtue of the state. The qualities that make virtuous citizens and therefore a virtuous state—decency, honesty, consideration of others, respect for law and order—are qualities that are first learned at home, generally at the mother’s knee. So in a very subtle way the role of motherhood, the job of raising virtuous citizens, became a public good. The concept was known as “republican motherhood,” and although women were still treated as second-class citizens for decades, when they began to make their case for full equality, they could and did point to seeds sown during the Revolution. More equitable representation among all regions of the states. Less restrictive voting qualifications—the elimination of property or religious qualifications for voting, for example. More liberal laws of inheritance. Greater religious freedom—the separation of church and state. The young American nation also had the extraordinary luxury of having about six years between the end of the fighting in America and the next outbreak of violence—the French Revolution—to find a new way to govern itself. If the French Revolution with all its turmoil had started earlier, or if the Americans had taken longer in getting around to writing their Constitution, things would certainly have turned out differently, quite possibly for the worse. Few nations have had such a broad and untrammeled opportunity to form a government under so little pressure. The Articles of Confederation were finally ratified in 1781: Maryland was slow to ratify, and unanimous consent was required. Under its provisions Congress had managed to win the Revolutionary War, but with difficulty and inefficiency. 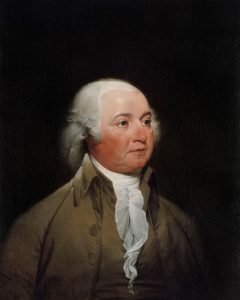 John Adams, for example, had served on more than eighty committees. Wartime problems had been huge, although much was accomplished. But the confederation was cumbersome and inefficient. The colonies had never really gotten along very well, and now the states were jealous of federal power and of each other. Government under the Articles had less power than Parliament: There was no executive, and no courts were provided for. Government was operated by scores of committees. In the 1780s, many Americans feared their Revolution could still fail if not grounded in a virtuous republican government, but ordinary folk, influenced by evangelicalism, expected God-given progress founded on “goodness and not wealth.” They expected the Revolution to bring them greater liberty, a voice in government, and an end to special privilege. Others, fearing that too much liberty might lead to democratic excesses, emphasized the need for order. At issue was the debate over liberty vs. order. Thus Republicanism was as radical for its time, as Marxism was later, although the concept had its origins in Greece and Rome. The concept spread throughout Europe in the 18th century. These ideas came together in revolutionary Americans to form “one of the most coherent and powerful ideologies the world has ever seen.” Republicanism was a social as well as political construct, and the simplicity and plainness of American life were now seen as virtues. The evils of the Old World were seen as rooted in too much government, but in order for government to be minimized, the citizens had to be virtuous, patriotic, and willing to give to the mother country. Property ownership was seen as requisite to participation in republican government because people needed to have a stake and be independent. Jefferson saw dependency as an evil—“it begets subservience and venality”—so he proposed that Virginia give fifty acres of land to every citizen who didn’t own that much. Because it was widely believed that the early state constitutions were flawed experiments in republican government, some Americans began to argue that a stronger central government was necessary. As the need for a stronger central government became more apparent after 1783, the United States could easily have become a monarchy, with George Washington as George I of America. The American states first became independent republics, and the feeling was that viable republics were of necessity small. With a successful war for independence behind them, the Americans still faced many difficulties in shaping a new republican government, having closed “but the first act of the great drama . . .” Much hard work remained to be done. Without the completion of the task of creating a viable government, the experiment still might have foundered. The state constitutions provided the practice arena for the writing of the United States Constitution. 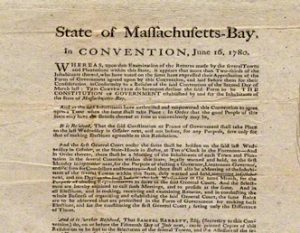 When the war was over, and even before it ended, constitution writing was going on all over in special conventions, the Massachusetts invention. As John Adams put it, how glorious it was to be able to participate in the making of a government—few in history have had such an opportunity. Americans were aware that the entire world was watching, with more than a little skepticism about whether this experiment in republican government could work. Many Europeans assumed that the American experiment would fail and that America will become some sort of despotism or perhaps attach itself to one of the great nations of Europe. The new state constitutions emphasized fundamental freedoms such as freedom of religion, speech, and the press. The office of governor was generally weak, and elected assemblies were given the most power. The state constitutions had to be ratified by a referendum of the people. 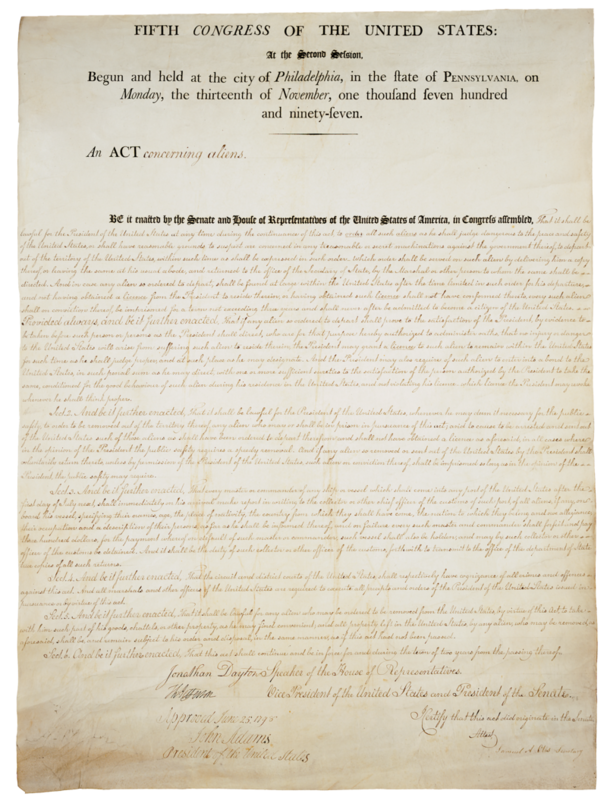 Americans wanted written constitutions that would clearly define the rights of the people and the limits of government power. Their attitude reflected the American distrust of power, an American characteristic that continues to this day. While they incorporated parts of the British system into their new governments, being wise enough not to throw out the baby with the bath water, they still created radical new forms. The Cultural Declaration of Independence: By 1789 poems, plays, music, and art celebrated the Revolution and all things American. Noah Webster worked to produce the first American dictionary—the American language began to depart from English. American art stressed patriotic themes—portraits of Washington and other revolutionary dignitaries abounded, and artists began to develop new styles. A fledgling American literary movement began with plays such as The Contrast, whose characters represented American virtues and corrupt old European ideas. American literature did not become highly evolved—that would have to wait for the Romantic Age under Emerson, Hawthorne, Whitman, and others—but the seeds were sown. Congress commanded so little, and had so little power over the states and therefore over foreign policy, that other nations either ignored the young United States or ran roughshod over their interests with little fear of retaliation. The British ignored certain provisions of the Paris agreement and kept troops on American soil long after the peace treaty was signed. 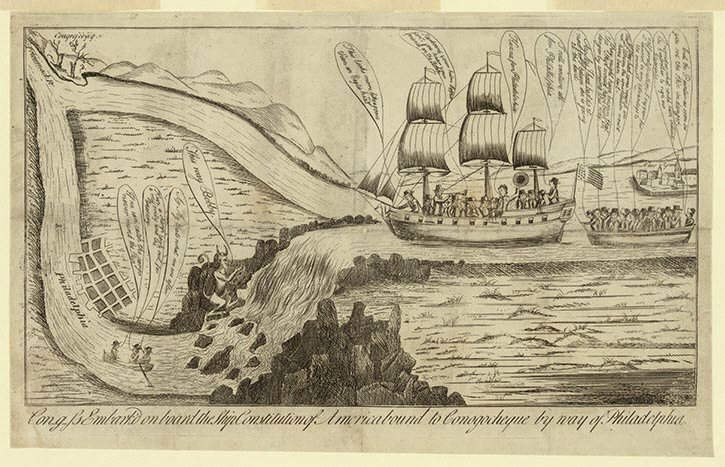 In addition, the Royal Navy remained in American waters, a threat to American independence of action. When Spain closed the port of New Orleans to American commerce in 1784, Congress sent John Jay to Madrid to achieve terms to open the Mississippi to Americans. Instead, Jay signed an agreement that ignored the problem of the Mississippi in exchange for commercial advantages benefiting the Northeast (the Jay-Gardoqui Treaty). Congress rejected the treaty, and the issue smoldered for ten more years. Congress also claimed lands in the West still occupied by the British and Spaniards but could not forcefully challenge those nations for control of the land. The Royal Navy remains in American Waters, a threat to American independence of action. The Spanish and British were also suspected of riling up the Indians against settlers in the west. The Confederation Government lacked power and authority and was unable to pass a treaty with Spain over the Florida boundary, etc. After the Revolution the American balance of trade was very negative, which led to a serious recession from 1784 to 1786. As Americans had been unable to trade with Great Britain during the war but still had an appetite for British goods, British imports to the United States expanded after the war, so money and wealth were leaving the country. The young country also was critically short of hard currency, a situation exacerbated by the fact that cash was flowing overseas. Furthermore Congress had no taxing authority, and massive war debts, including promised pensions for soldiers, remained unpaid. It was clear that a strong central authority was needed to regulate trade—the Confederation government could not get a tariff bill through because of jealousy among the states. On the bright side—and there was not much there—new ports were now open and American ships could go anywhere they pleased, but without, of course, the protection of the Royal Navy. 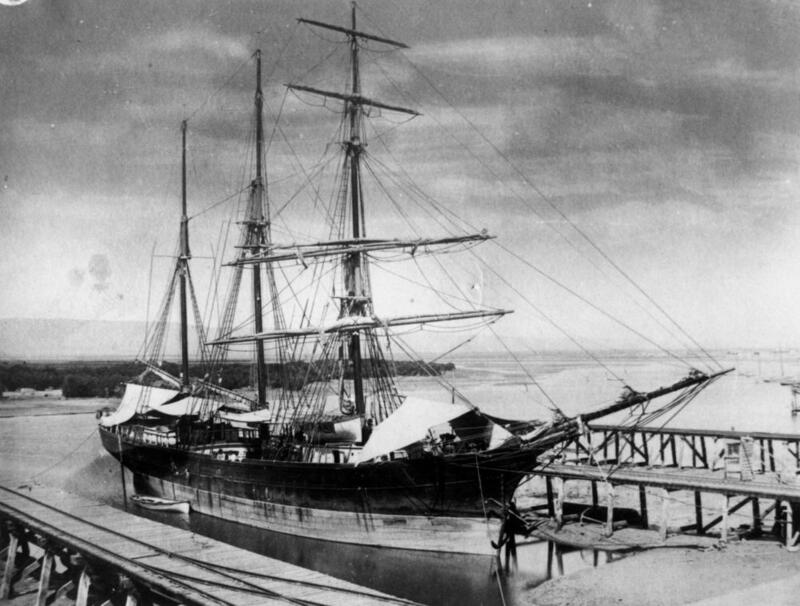 The vessel Empress of China sailed to the Far East in 1784–85, opening up trade with that part of the world for Americans. British Orders in Council of 1783 barred certain goods as well as American ships from Caribbean trade, which hit northern states especially hard; shipbuilding interests were hurt. With no power to tax, Congress could do little to ease the situation. Nationalists such as Alexander Hamilton and James Madison wanted Congress to have a taxing authority, but their efforts came to naught, as the states were jealous of federal power to tax, having just fought a war initiated in large part over unwanted taxation. In 1781 Robert Morris tried to set up a Bank of North America, thinking that that “the debt will bind us together.” He was given near dictatorial powers, but he resigned in frustration in 1784, having been unable to stabilize the economy. The situation even held potential danger for the government itself, as war veterans threatened to march on Congress. Before leaving Newburgh, General George Washington had thwarted one such movement, but the seeds of discontent among the former soldiers and officers remained apparent. To make matters even more confusing, economic jealousy existed among the new states. Various tariffs were applied to goods that moved between the states, and state laws came into conflict with the treaty made with Great Britain in 1783. During this time the national debt rose from $11 million to $28 million, which included foreign debt. Those debts were never brought under control during the Confederation period—it was not until Alexander Hamilton reformed American finances under the constitutional government that America’s economic house began to be put in order. In January 1787 Daniel Shays led a rebellion of Massachusetts farmers who were frustrated because they were unable to pay their debts because of depressed crop prices, and mortgages were being foreclosed. They captured the arsenal in Springfield and threatened to advance on the Massachusetts Legislature. Americans from George Washington to Abigail Adams were horrified by the prospect; Washington declared it “liberty gone mad,” and the situation reminded many that mob rule was sometimes seen as a natural outgrowth of too much democracy. Thomas Jefferson was less bothered by the uprising, believing that a little violence was necessary for the good health of liberty, but it was obvious that the federal government could not respond to the needs of the people. All these events pointed up weaknesses in the American government and showed the need to revise the Articles of Confederation. Meanwhile other reforms were emerging from the fire of rebellion, such as religious freedom—the separation of church and state. Most states abandoned tax support for churches, and Jefferson’s Statute of Religious Freedom in Virginia set an important example. In the northern states of Massachusetts and New Hampshire, the Congregational Church still got some tax money. Despite their newly found liberalism, most Americans were nevertheless intolerant of views that were strongly anti-Christian. Women had made important contributions to the Revolution, including fighting. Deborah Sampson served as a man from 1781 to 1783. Others did much to support the American armies—making bandages, and so on. 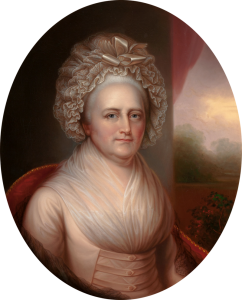 Martha Washington did much to assist soldiers at Valley Forge. Women also demanded natural right of equality and contributed to the creation of a new society by raising children in households where the republican values of freedom and equality were daily practice. Women were more assertive in divorcing undesirable mates and in opening their own businesses, but were still denied their political and legal rights. Although women made some gains in education and law, society still defined them exclusively as homemakers, wives, and mothers. Abigail Adams had said “Remember the ladies”—or they would foment their own revolution, which they eventually did. But even in the republican fervor of the post-revolutionary period, women got few new rights. The American Revolution did not abolish slavery, although in some states the innate contradiction between the institution and the Declaration were apparent. During the Revolution, many African Americans fought for freedom in their own way—some on the British side, some on the American. Slavery was gradually abolished, but mostly where it was economically unimportant. At this stage of its history, slavery was not seen as morally defensible; even southerners questioned the morality of slavery, and no one defended it as a “positive good.” That would come later. Slavery was an important issue during the Revolutionary War. Governor Dinsmore of Virginia had promised freedom to all slaves who would fight against the American rebels. As a result, the British army emancipated many slaves—about twenty thousand escaped to the British, including some of Jefferson’s. Meanwhile, slavery was dying elsewhere in the world. In England a slave owner could not exercise his property rights over a slave. In America, excuses were found not to use blacks to fight for independence. And yet, in the words of one historian, “For all its broken promises, the Revolution contained the roots of the black liberation movement.” For blacks had been at Lexington, had crossed the Delaware with Washington, and many had been recognized at Bunker Hill and during the surrender of the British at Saratoga. In fact, British soldiers mocked the American army because it contained so many blacks. All the same, in the South the sight of a black man with a gun evoked fear. The time for full emancipation was not yet at hand. The founding fathers believed that their efforts were guided by Providence, not in the sense of an intervening supernatural god, so much as by the natural good fortune that aids worthy causes. Evidence for that belief can be seen in a fact that once the Treaty of Paris had been signed, the nations of Europe busied themselves with their own affairs and paid little attention to the fledgling nation. That was a good thing, for under the Articles of Confederation, the thirteen states, still considering themselves sovereign entities, had scant means of defending themselves, raising funds for common needs or maintaining good order and discipline in and between the thirteen jurisdictions. The brief trial and error period, which lasted six years until the Constitution went into effect in 1789, were enough to get the country situated on a firm constitutional foundation. Had the process overlapped with the early years of the French Revolution, which soon degenerated into terrorism and despotism, the experiment in democracy, which failed in France, might have seemed far less attractive to the Americans. In other words, had we delayed the process of creating the Constitution, the our political history might have taken a very different, possibly les fortunate, course. One thing that America did have plenty of was land, though the use of it would bring continuing troubles with Indians until late in the 19th century. During the American Revolution, the Americans resolved not to treat their territories as colonies. Following the war, Congress sold millions of acres of land to large companies, but those companies had trouble attracting settlers. Congress therefore realized that some form of control was necessary in the territories that were not yet states. 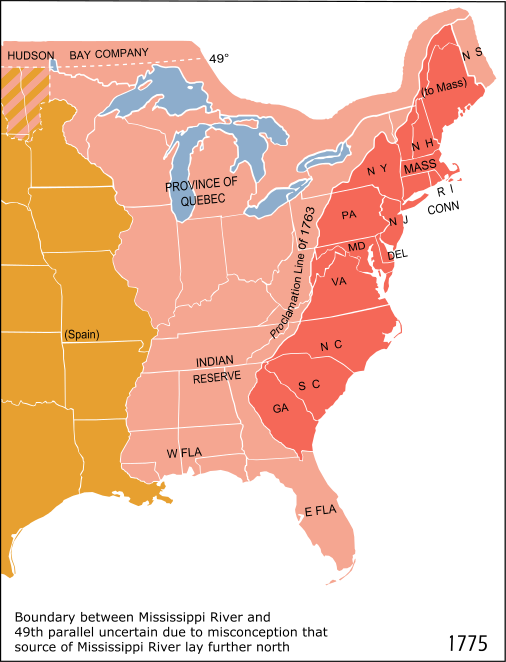 At the end of the war, several of the states claimed extensive territories west of their own boundaries, but by 1786 all the western territories had been turned over to the federal government. The Confederation Congress soon decided that the western territories were not to be treated as colonies with the sorts of abuses that the British had imposed upon the original Americans, and a careful policy was worked out. 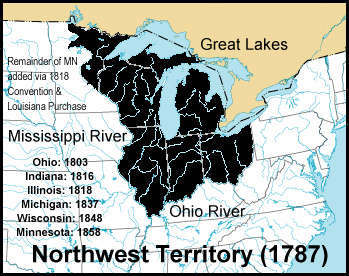 In 1787 the territory northwest of the Ohio River, which eventually came to comprise the states of Ohio, Indiana, Illinois, Michigan, and Wisconsin, was designated the Northwest Territory, and the Northwest Ordinance of 1787 carefully outlined the process through which the territories would become states. Each territory was to have a governor, a secretary, and three judges, all chosen by Congress. When any territory’s population reached five thousand, the male adults there would have the right to elect an assembly. Once the population reached sixty thousand, the territory could call a convention to draft a constitution and apply for statehood. In addition, the Ordinance provided for a Bill of Rights that guaranteed freedom of religion, proportional representation trial by jury, and other rights; and slavery was permanently excluded from the territory. Needless to say, if the provisions of the Northwest Ordinance had been applied to the remaining territories, many of which were soon to become states, the extension of slavery and thus the entire future of the American nation would have been considerably different. Shays’s Rebellion. In August of 1786 a violent protest erupted in Massachusetts over economic hardships that had resulted in foreclosures of homes and farms. 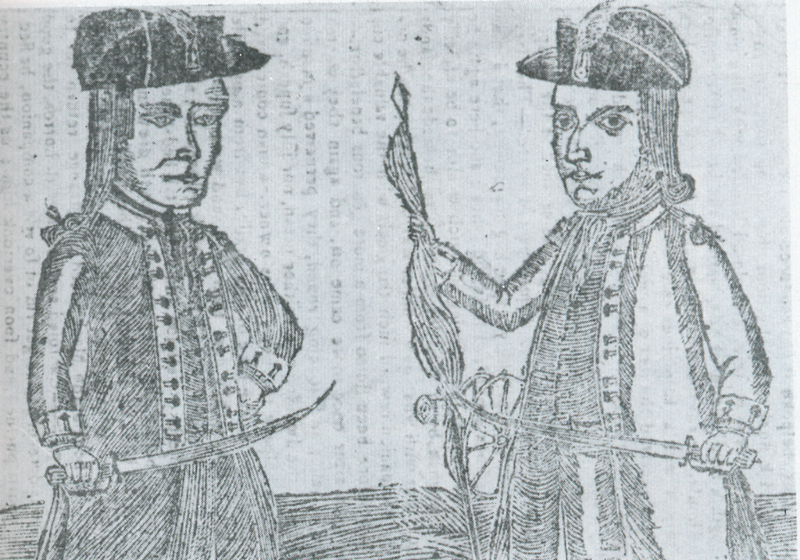 Leader of the rebellion was Daniel Shays, a farmer who had been a captain during the Revolutionary War and was a veteran of the Battle of Breed’s Hill. Massachusetts farmers were frustrated because they were unable to pay their debts due to depressed crop prices, and mortgages were being foreclosed. Shays marched his insurgents to Springfield, threatening the federal arsenal there. State militia backed by federal forces eventually drove off the Shaysites, but the uprising underscored the weaknesses of the Confederation government and the inadequacy of the American interstate commercial structure. … You talk, my good Sir, of employing influence to appease the present tumults in Massachusetts. I know not where that influence is to be found; and if attainable, that it would be a proper remedy for the disorders. Influence is no Government. Let us have one by which our lives, liberties and properties will be secured; or let us know the worst at once. … To be more exposed in the eyes of the world, and more contemptible than we already are, is hardly possible. James Madison also received alarming reports from the north. The situation reminded many that mob rule was sometimes seen as a natural outgrowth of an excess of democracy. Thomas Jefferson was less bothered by the uprising, believing that a little violence was necessary for the good health of liberty, but it was obvious that the federal government could not respond to the needs of the people. In the end, Shays’s rebellion furthered the cause of those who wanted a radical revision of the Articles of Confederation. By 1785 it had become apparent that the government of the Articles of Confederation was making it difficult to resolve issues among the states. In order to deal with waterways that formed state boundaries, including the Potomac River and Chesapeake Bay, a conference was called at Mount Vernon, where James Madison, George Mason, and others discussed commercial issues. An outcome of the meeting hosted by Washington was that the Virginia legislature invited all the states to attend a meeting in Annapolis in 1786. 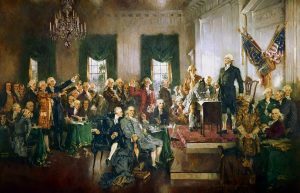 The writing and adoption of the Federal Constitution was a vital second step in making the American Revolution and republican experiment a permanent success. It is clear that if the nation of thirteen states could not operate effectively with a weak central government, a nation of thirty, forty, or fifty states would never have become possible. For Alexander Hamilton, James Madison, and other far-thinking political leaders, attempts to amend the Articles of Confederation would only be, to use a modern analogy, rearranging deck chairs on the Titanic. If the nation were to survive and prosper, the Articles would have to go. The men who gathered in Philadelphia in May, 1787, were not, however, necessarily as convinced as Hamilton and Madison that a fresh start was needed. Twelve states appointed 55 delegates to the Philadelphia convention. Rhode Island sent none, although a few of its distinguished citizens wrote to the members expressing support for the enterprise. Few of the delegates were in attendance the whole time; when the work was complete 39 delegates signed the final draft. They were a distinguished group—Jefferson called them a collection of “demigods.” Many of the delegates knew each other from having served together in the Congress, and many of them had been actively involved in writing their own state constitutions. They were well-versed in political matters and were cognizant of historic examples of governments going all the way back to the Roman Republic. Jefferson himself was in Paris as America’s ambassador to France, and John Adams represented United States in London. Other notables who were absent included Sam Adams and Patrick Henry, who “smelt a rat.” Even those who attended were uncertain of the possible outcome of the meeting. Indeed, it was only after repeated persuasion by Virginia’s governor Edmund Randolph and others that George Washington reluctantly agreed to attend, finally convinced that his absence would be damaging to the cause. 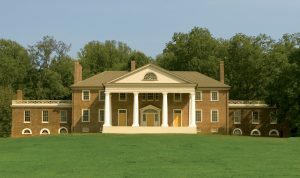 For those who have had the pleasure of visiting James Madison’s home, they have probably approached that property on a highway known as the Constitution Route. Madison, they soon discover, is known as the father of our Constitution, and the title is more than fitting. No one worked harder than James Madison to achieve the new form of government that he felt was vital for the success of the American nation. Madison’s notes on the Convention are still the best source we have of the historic event. Educated at the College of New Jersey, later Princeton University, James Madison was well-versed in matters legal and political. His preparation for the convention was prodigious, and it included reading a “literary cargo” of books sent to him from Paris by his friend Jefferson. Arriving early in Philadelphia, he also acquainted himself with Philadelphia’s most distinguished delegate, Benjamin Franklin, whose friendship and wisdom he came to value enormously. Knowing that as a slight and frail man, he would not make an imposing figure on the convention floor, Madison put together a formula for government known as the Virginia Plan and then had it introduced by the more charismatic and well-known governor of Virginia, Edmund Randolph. The first task of the delegates was to select a president, and the choice was obvious: Once again George Washington would lead the vital enterprise. Although Washington participated very little in the debates, his presence in the chair was essential during the long hot summer. The dignity with which he held himself, and the knowledge among the delegates of the sacrifices he had made to achieve liberty, made his position as president one of the highest importance, especially as the summer heat pressed down on the delegates, whose tempers flared from time to time. The Convention organized itself in such a way as to maximize the possibility of success. First, they agreed that all of their deliberations would be secret, fearing that if news of their proposed document were to leak out, false impressions might be created that would jeopardize eventual ratification. Second, they arranged themselves into a committee of the whole so they could openly discuss various proposals and then recommend them for adoption by the formal convention. Although that move may sound frivolous, it had a serious purpose: After a day of heated debate, the committee might adopt a resolution for presentation to the convention—the very same members—on the following day. With the intervening time for reflection, the convention would have the opportunity to take a fresh look at what had been proposed. They also allowed themselves to revisit issues previously decided, in case later deliberations on other parts of the plan required changes to what had already been decided. When a quorum of states present late in May, Virginia Governor Edmund Randolph introduced the Virginia Plan, which went beyond revision of the Articles of Confederation and outlined a completely new national government. The plan called for a bicameral legislature, a separate executive, and a separate judicial department. It became immediately apparent that some delegates were by no means prepared to go that far. At that point the convention dissolved itself into a committee of the whole, and the debating began. The major issue for consideration was the structure of the national legislature. Madison noted that the delegates from Delaware were bound not to accept an agreement that removed the equal vote of each state in the legislature. Clearly, compromises would be needed. In June the smaller states, led by New Jersey, proposed an alternative plan. 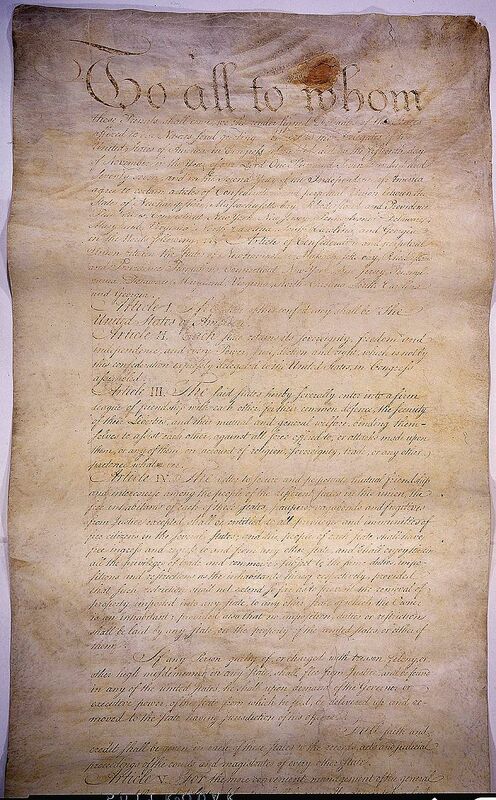 In essence, the New Jersey plan sought to retain the Articles of Confederation and amend them without depriving the individual states of their sovereignty. It was a plan designed to continue the government as a federation rather than as a consolidated national government. As such, the New Jersey plan was in sharp contrast to the Virginia plan. A New York representative argued that New York would never have sent delegates to a convention that intended to discard the Articles. The battle lines were drawn. The issue was representation in the national Congress: the larger states feared that with equal representation in the House, the small states might gang up on them and, in effect, nibble them to death. The small states, on the other hand, feared that the larger states might run roughshod over their interests if representation were proportional. Both plans were referred to the committee of the whole, and after a few days the New Jersey plan was rejected. 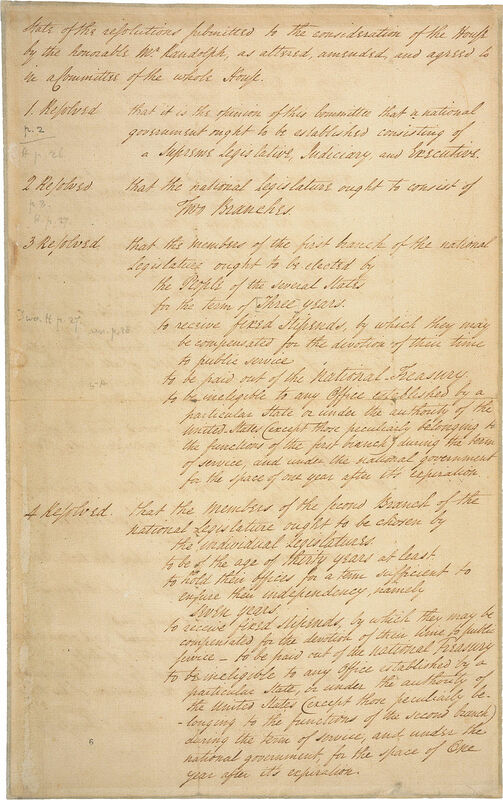 Debate on revision of the Virginia plan droned on until Washington began to fear that no resolution would be possible. 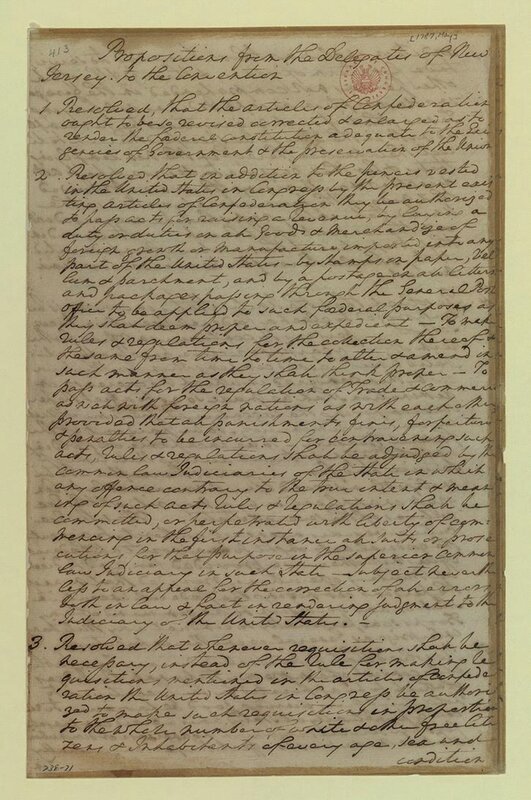 On July 2 Roger Sherman of Connecticut observed that the convention was “at full stop.” To break the impasse over representation, a special committee was formed with one delegate from each state assigned to find a compromise. George Mason and Benjamin Franklin were members. They worked out a compromise known as the Connecticut or Great Compromise: The smaller states would be represented proportionately by population in the lower house, and the states would be represented equally by two Senators each in the upper house. 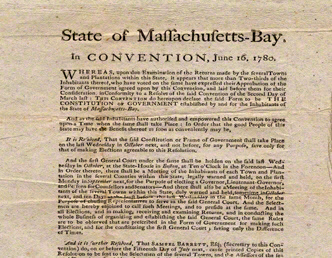 On July 16 the compromise was approved by the convention. The creation of an executive brought about the decision to have an elected office of president. Although not as difficult to resolve as the issue of representation in Congress, the role and powers of the chief executive were still a matter of considerable concern. The idea of creating a monarchy was discussed but never seriously considered, as it was inconsistent with the concept of republicanism, though George Washington would have been an acceptable figure as a monarch. But Washington had no male descendants, and the idea of a hereditary monarchy was out of the question in any case. There was talk of a dual structure or even an executive of three members, but it was feared that if they disagreed, an impasse might occur, blocking government action. After much debate, they decided on a single elected executive, the president. The president’s term was set at four years, and he was eligible for reelection. In the end, the president was given substantial power: He was the commander in chief of the armed forces; he had the power to make treaties, with the advice and consent of the Senate; he could veto congressional legislation, though it could be overridden by a two-thirds vote in both houses; he had the power to grant pardons; he would appoint ambassadors, ministers, justices of the Supreme Court and other judges and heads of government departments (cabinet officers); and he had the responsibility to ensure that the laws of the United States were faithfully executed. An executive with that much power would not have been acceptable during the revolution, when King George was seen as a tyrant by many. In some respects the president had more power than King George III had held. Partly for that reason, the president was not to be elected directly by the people, but by an electoral college, the makeup of which was left to the states. For the few first few decades of American history, for all practical purposes the president was elected by the state legislatures. It was not until the time of Andrew Jackson that presidents began to be elected by the people, still indirectly through the Electoral College. The Constitution thus created only one court, the Supreme Court. The remaining structure of the court system was left to Congress. For historical reasons courts were not particularly popular in that era. English courts were seen as places where the king’s prerogatives were executed rather than a place where the rights of the people were defended. Thus Americans were in no mood to see courts created with large powers. It would not be until the tenure of Chief Justice John Marshall that the Court began to attain its proper place as a third and coequal branch of government. Once the major issues had been decided, a committee of detail was appointed to work out the finer points. The convention recessed while to committee went about its work. The remaining articles addressed several important points. Article IV provided for equal application of laws across state boundaries—states cannot nullify or fail to recognize laws of other states. Persons committing crimes in one state can be extradited if they have fled to another state. Slaves—“Persons held to Service or Labour”—escaping into other states must be returned to their owners. Article IV also provided for admission of new states and stated that “The United States shall guarantee to every State in this Union a Republican Form of Government,” a provision that would become critical during the post-Civil war era. With few exceptions, anything in the Constitution is subject to amendment. Article V of the Constitution outlines the process by which this can happen. Whether initiated by both houses of Congress or by the state legislatures, any amendment must still be ratified by the legislatures of three-quarters of the states. It is rather remarkable that in more than two hundred years the Constitution has been amended only twenty-seven times. Ten of those amendments are what we call the Bill of Rights, and two of them cancel each other out (Prohibition and repeal.) The most important amendments were those that ended slavery, created United States citizenship, gave women the right to vote, and changed the method by which senators were elected. Interestingly, the basic structure and functioning of government has not been modified at all since 1789. Article VI provided that all actions, laws, treaties, etc., created by the Confederation government would be carried forward under the Constitution. Importantly, Article VI also states that “no religious Test shall ever be required as a Qualification to any Office of public Trust under the United States.” The principle of the separation of church and state finds its roots here. It is worth noting that there is no reference to god, providence or any other form of divinity in the Constitution. Although we do not know exactly what Mason meant by national calamity, civil war would certainly fit the definition. 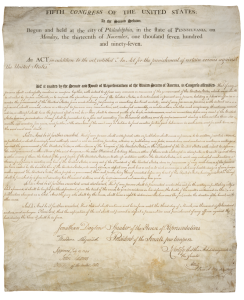 Many historians and civil rights advocates have bemoaned the fact that the Constitutional convention did not deal with the issue of slavery. But as we shall see below, the process of getting the Constitution signed and ratified was a huge challenge, and trying to deal with slavery in the bargain would almost certainly have doomed it to failure. Still, it must be said that failure to deal with the issue and recognizing it in the Constitution de facto, though the word “slavery” does not appear in the document, was bound to make it much more difficult to deal with in the future. The Constitution did recognize slavery in the language of persons bound to “a term of service or Labour.” It made provisions for the return of fugitives from slavery, and it adopted the three-fifths compromise—the counting of three-fifths of the slave population in the states for representation in the House of Representatives—as a means of pacifying the South. Furthermore, any restriction on the importation of slaves was not to be permitted under the Constitution until 1808, a part of the Constitution designated as not subject to amendment. The best that can be said about the issue of slavery in the Constitution is that the creation of a republican form of government made possible the eventual abolition of slavery, but ridding the nation of that “peculiar institution” would be a long, painful, and bloody process. We Americans tend to take our Constitution for granted, assuming in retrospect that “of course it was adopted—why wouldn’t it have been?” The fact is that the Constitution came perilously close to not being ratified at all. Why? For one thing, the Constitution granted more power to the national government than King George had ever wielded over the colonies. There were other reasons. 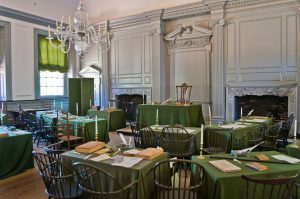 First, the Constitutional Convention violated its charge from the Confederation Congress by writing a new constitution instead of amending the Articles. 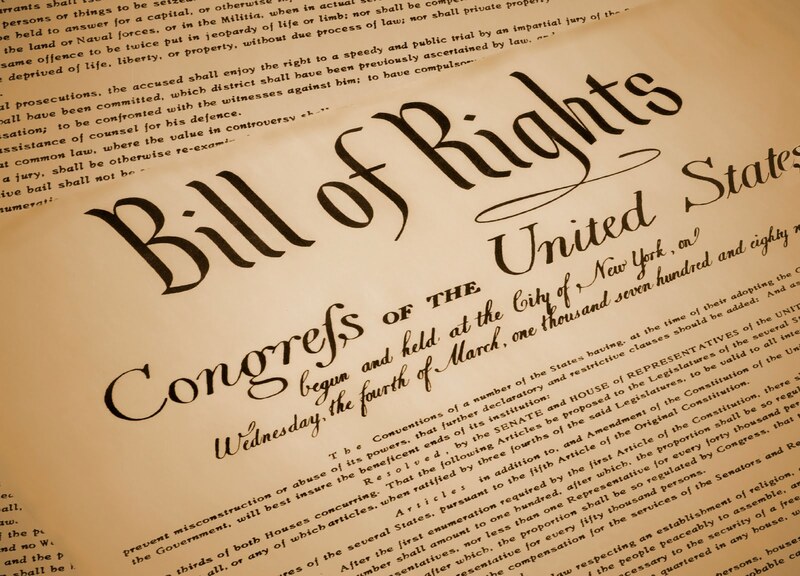 Second, many feared the absence of a bill of rights. The convention, with minor exceptions, had not addressed individual rights, feeling that the state constitutions would protect individual rights adequately. But Americans were used to seeing things in writing and wanted those rights assured; thus many citizens objected to the proposed constitution because it lacked of a bill of rights. Still, the signatures of George Washington, Benjamin Franklin, James Madison, and others on the document could not be ignored. It would be up to the states to decide the fate of the proposed form of government. On September 17, 1787, 39 delegates signed the newly written Constitution out of the 55 who had been elected delegates. 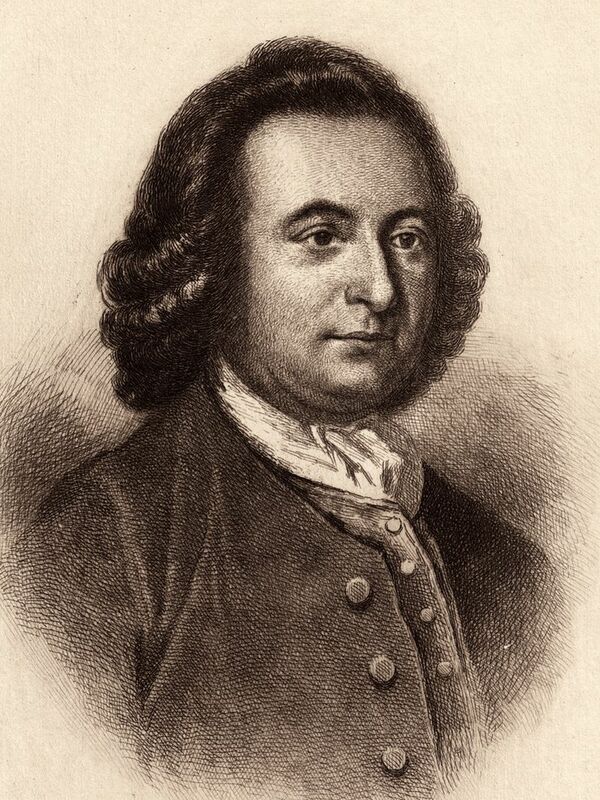 Thirteen had departed for one reason or another, and three refused to sign, most notably George Mason of Virginia. Mason’s chief complaint was that the Constitution lacked a bill of rights, but he had additional reservations which he shared with a number of others. Of those who did sign, almost all, including George Washington, had reservations about their work. Yet all of them, including Washington, Franklin and Madison, felt that the completed document was as good as they could have achieved under the circumstances. They realized that ratification would be a challenge, and the departing delegates were well aware that it would not be easy to achieve ratification once they returned to their states. There was also the matter of what the Confederation Congress would decide to do with the document which had been transmitted to them. The framers were fully aware that they had superseded their charter, which had been to amend the Articles of Confederation. Clearly they had gone beyond that, and Congress was under no obligation to accept their work and transmit it without amendment or comment to the states. In the end, however, after brief discussion, that is exactly what they decided to do. The fate of the Constitution was now in the hands of the Confederation Congress. If they followed Article VII, thirteen special state conventions would be held for purposes of ratification. Once nine of them approved, the United States Constitution would go into effect in the ratifying states. Congress wisely decided to pass the document along to the states without otherwise interfering, although they did debate the matter for a time. The most serious arguments against the Constitution were those expressed by Patrick Henry in the Virginia ratifying convention, Samuel Adams in the Massachusetts convention, and others. The first thing that caught the objectors’ eyes were the first words of the preamble: We the People. As Patrick Henry expressed it, where did those gentlemen in Philadelphia get the idea of ‘we the people’ instead of ‘we the states’? Many people wanted a federation, not a national government, and the differences in those days were large. The Articles of Confederation had created a union of sovereign states, which might legitimately have been called the United Nations of North America. Although the states still retained many powers under the Constitution, a direct link had been created between the people and the national government, which some saw as a threat. Neither did Patrick Henry look with favor upon the office of president. “It squints toward monarchy,” he said. The American people had just overthrown one tyrant and they did not want another in his place. Those who supported the Constitution—James Madison, Alexander Hamilton, George Washington, Benjamin Franklin, John Marshall, and eventually even George Mason (the most famous non-signer in Philadelphia)—were known as Federalists. Those who opposed were known as the anti-federalists. They became the second major opposing political groupings in the United States, the first having been Patriots and Loyalists during the Revolution. Because all of the New York delegation had left the Philadelphia convention except Alexander Hamilton, considerable fear existed that the state might not ratify, and given its key position between New England and the rest of the states, its vote was considered critical. 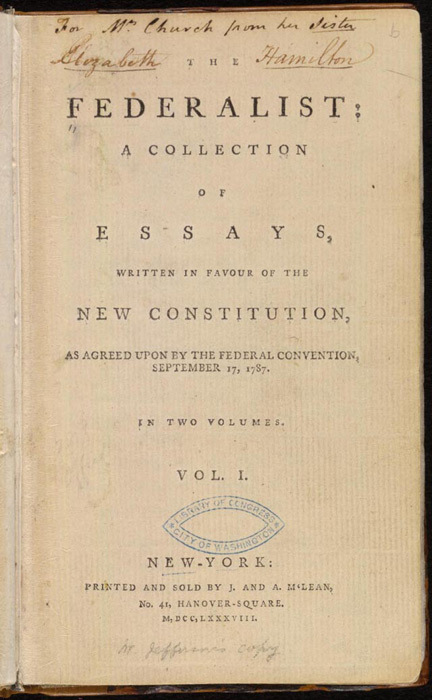 Alexander Hamilton, James Madison, and John Jay therefore penned a series of articles directed at the people of New York known as the Federalist Papers—eighty-five essays defending the Constitution and explaining the essentials of republican government as eloquently as has ever been done. 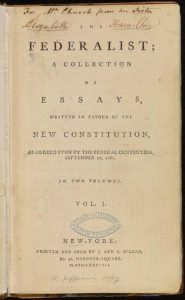 Alexander Hamilton, James Madison, and John Jay, The Federalist: A Collection of Essays, Written in Favour of the New Constitution, as Agreed upon by the Federal Convention, September 17, 1787. The Federalist Papers, as they are sometimes called, originally appeared as newspaper articles. Various collections have been published, either as text alone or with commentary by editors. In the end it was a serious fight, and the outcome was very, very close. If less than 5 percent of all the votes cast in the state conventions had changed, the Constitution would not have been ratified. The votes in several keys states were extremely close. Virginia: 89–79. If 5 votes out of 165 had changed, Virginia, the largest and most important state, would have stood outside the Union. New York: 30–27. Two votes reversed and the “Empire State” would have been out. Massachusetts: 187–168. Ten votes out of 355 change and Massachusetts, the “Cradle of the Revolution,” would not have been part of the new nation. Even after the Constitution was adopted, it was uncertain exactly how it would be interpreted and followed. In 1798, in response to the Sedition Act of that year, Kentucky passed a resolution stating in part “that the several States composing the United States of America, are not united on the principle of unlimited submission to their general government . . .” As it had been during the debates over ratification, states’ rights was an issue and would remain so until well after the Civil War. 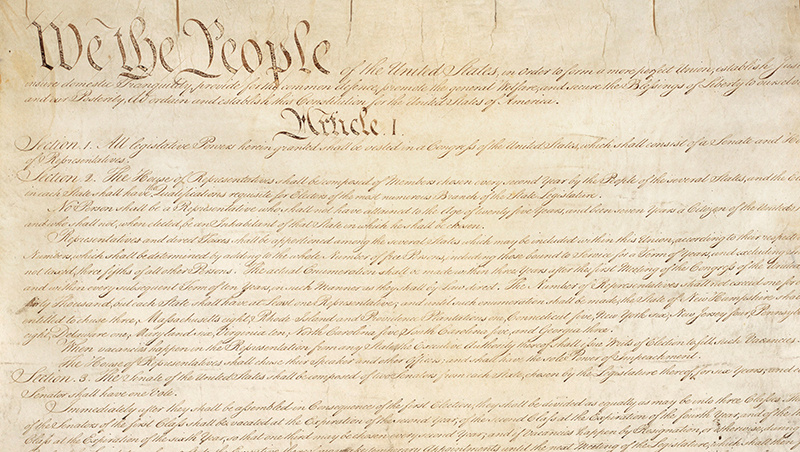 Despite all the issues surrounding its creation, the U.S. Constitution can still be considered one of the most remarkable documents ever penned by man. It was the first government in history created essentially out of whole cloth, and it served as a model for other nations seeking to find a successful way of governing themselves. Although certain provisions of the Constitution have been interpreted in various and sometimes conflicting ways, its essential nature has remained intact. Every American should read the United States Constitution at least once and probably more often. Students are often surprised at what they find there, and are often equally surprised by what they do not find. 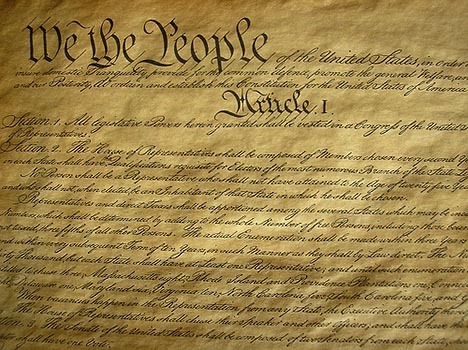 Following the articles creating the three branches of government, the Constitution does cover other important details, such as the fact that the laws of the various states should be recognized by other states, and that every state is required to have a republican, that is representative, form of government. Most preambles to documents or public pronouncements are designed merely to set the tone and did not contain any significant content. “Dearly beloved, we are gathered together … ” And so on. The opening words of the Declaration of Independence that contain the phrase “all men are created equal,” are a statement of philosophy. The specifics come later. 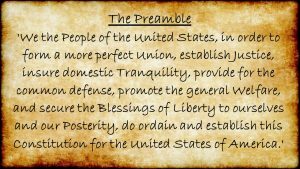 The preamble to the Constitution, however, not only has significant meaning; it has actually been used by the Supreme Court in deciding a case. The opening phrase, “We the people,” instantly caught the attention of anti-Federalists like Patrick Henry and Samuel Adams. It was an instant declaration that the document being transmitted was “of the people, by the people, and for the people.” Patrick Henry and Samuel Adams would have preferred an opening that recognized the primacy of the states. The Articles of Confederation had concluded with the statement, “and the union shall be perpetual.” Clearly that meant that the United States were to be a permanent union. The preamble to the Constitution states, “in Order to form a more perfect Union.” In 1869 the Supreme Court cited those words as evidence that secession was unconstitutional. In other cases, the phrase to “promote the general welfare” was used in opposition to actions that would not apply equally to all the states. 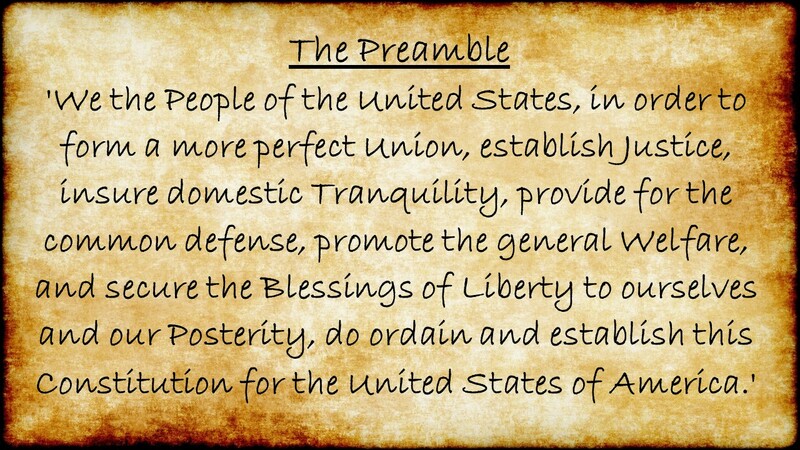 The preamble, in other words, is an important part of the Constitution. The Privilege of the Writ of Habeas Corpus (literally, “you have the body”) is designed to ensure that a person being detained can demand to be brought before a judge to have his or her situation reviewed. It is designed to prevent unlawful detention or imprisonment. It is the same principle that requires that a person arrested must be arraigned before a judge to determine the person’s disposition, such as being held on bail, released, and so on. It means that police cannot arrest someone and hold him or her indefinitely without the person’s case being heard before a magistrate. It stems from situations in history prior to the revolutionary era when people could be imprisoned, perhaps by a king or queen, for political purposes, and so on. A bill of attainder is a law which is passed that declares a person or persons guilty of a crime, even though they have not been given a trial. An ex post facto law is a law that deems an action a criminal offence, even when the act was committed prior to passage. It other words, it makes a person guilty of something retroactively. Such acts and laws had been used for political purposes. The Constitution has been amended 27 times, not very often considering that the document is over 220 years old. In fact, it has been amended fewer times than that. 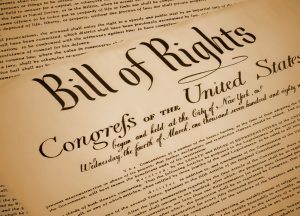 The first 10 amendments are the Bill of Rights, and they simply added protections to the rights of the people and did not in any way change the basic Constitution. Two amendments—prohibition and repeal—cancelled each other out. Several amendments modified voting procedures and other relatively unimportant issues. None of the amendments changed the basic functioning of the government . 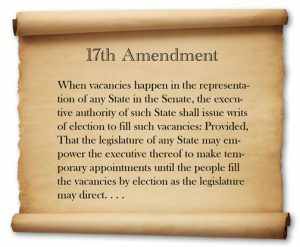 Six amendments – the 13th through 17th and the 19th – made significant changes. Those amendments ended slavery, redefined citizenship and suffrage rights, allowed the government to collect income taxes, provided for the direct election of Senators by the people and gave women the right to vote. Additional amendments were proposed but were never passed or ratified. It is important to note that only the Congress and the states are involved in amending the Constitution. The president has no function in the amendment process, nor does the Supreme Court. The greatest hurdle to amending the Constitution is the requirement that any amendment must be ratified by three quarters of the states in order to become valid. The most interesting amendment might be the 27th. It was proposed during the first Congress in 1789 but was not ratified by the necessary number of states. Over the next two hundred years two more states did ratify, but there was no follow up. Then, in 1982, a student at the University of Texas wrote a paper about it and pushed for completion of the process. The amendment was finally declared ratified 202 years after it was first proposed. The original unamended Constitution did not give any person or group the right to vote. The president was to be elected by the Electoral College, and originally the electors were chosen by the state legislators. It was not until the 1820s that the people started electing presidential electors. 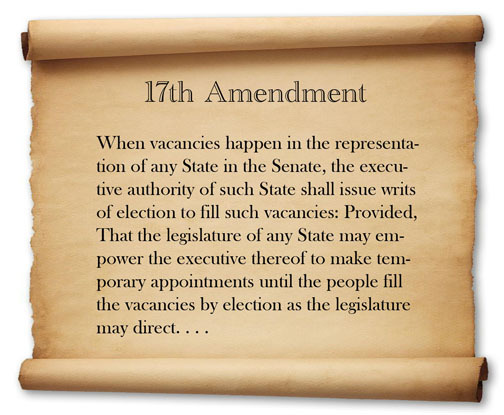 Senators were also elected by the state legislatures until the 17th Amendment was ratified in 1913. Members of the House of Representatives were elected by the people, but Article I states that people entitled to vote for Congressmen shall have “the Qualifications requisite for Electors of the most numerous Branch of the State Legislature.” That means that the states have the right to determine who gets to vote in Congressional elections. Later amendments and court decisions have changed all that. Article IV, Section 4, however, states that “The United States shall guarantee to every State in this Union a Republican Form of Government.” A republican government is composed of the people’s elected representatives, meaning that the nation shall be governed by their elected representatives. At the time the Constitution was written, that was a revolutionary doctrine. Full-fledged democracy was still decades off. At the time the Constitution was written, the nation was skeptical of giving too much power to the central government. The framers of the Constitution, however, led by Washington, Madison, Hamilton, Edmund Randolph, and a few others felt that a strong national authority was necessary to preserve American democracy. To provide safeguards against the AP views of national power however they went out of their way to divide the government into three separate components: the executive, legislative, and judicial branches. Only Congress has the power to pass laws, but they may be vetoed by the president. The president’s veto, however, may be over ridden by a super majority of Congress. The president is commander-in-chief of the armed forces, but only Congress can declare war. The president appoints his own department heads, but they must be approved by the Senate. The president has the power to make treaties, but they must be ratified by the Senate. The Supreme Court is the final arbiter on questions of the constitutionality of laws passed by Congress, although the court can only become involved when a case involving constitutional rights comes before it, generally on appeal. Than Congress has the power to impeach the president and other officers as well as members of the courts, who may be removed from office upon conviction. The Supreme Court may direct that certain actions be carried out by other branches of government, but it has no power to enforce those decisions. The president, however, is charged with seeing to it that the laws are faithfully executed. Over the course of American history, the balance of power between the president and Congress has swung back and forth. For much of the 19th century, Congress was the dominant force in the national government, with this exceptions occurring during the presidencies of Andrew Jackson and Abraham Lincoln. Throughout the 20th century, the office of the president, beginning with the Theodore Roosevelt administration, gradually gained more power. Presidents Franklin Roosevelt, Lyndon B Johnson, and Ronald Reagan were all forceful presidents able to get Congress to accept many of their policies. Television and other public media have tended to enhance the persuasive powers of the president, but Congress has by no means deferred uncritically to the president’s authority. Although our Constitution remains essentially intact in terms of the functioning of government, relations among the different branches and between the national government and the states as well as between both those entities and the American people has continued to evolve and will no doubt continue to do so in the future. The Constitution is explicit in the powers granted to Congress as well as limitations on those powers by Congress and the states. On the other hand, the exact language is sometimes vague, as in the clause “necessary and proper.” Many hours of argument have been devoted to the question of exactly what “necessary” means. In some cases those arguments have gone all the way to the Supreme Court. Limitations on Congress include the aforementioned suspension of habeas corpus, bills of attainder and ex post facto laws, and any taxes not proportional to the state populations according to the census. Article I, Section 9 also states that all duties shall be applied equally across the states, and interstate duties are prohibited. States are limited from conducting their own foreign-policy and from creating their own money. They are not allowed to tax each other’s commerce nor are they allowed to pass any laws “impairing the obligation of Contracts.” The same prohibitions against ex post facto laws, etc., applied to the states as to the Congress. It should be noted that prior to the Civil War, the Bill of Rights was not deemed to apply to the states. It was only after passage of the 14th amendment that all those personal rights were deemed protected at the state as well as at the national level. Article I, Section I, states: All legislative Powers herein granted shall be vested in a Congress of the United States, which shall consist of a Senate and House of Representatives. The Constitution goes into considerable detail on that subject. The most important function of Congress is the passing of bills that become laws when signed by the president. The process involves both the Senate and the House of Representatives as well as the president, and it is important to note from the beginning that a single bill must be passed by the House and the Senate before it can become a law. There are no exceptions. The bill becomes law when the president signs it, which he must do within 10 days of receiving it. That is the most common course. If the president fails to sign a bill within 10 days of when it is presented, the bill becomes a law even without his signature. If Congress adjourns within that 10 days, however, and the president has not signed the bill, then it is considered to have been vetoed. This process is called the “pocket veto”; historically, it has occurred only rarely. Regardless of what happens during this entire process, the bill, as finally passed by both houses, either becomes a law or it doesn’t. If the president vetoes the bill, he sends it back to Congress with his objections. They can then override his veto by a vote of two thirds of both houses, having considered the president’s objections. All they can do, however, is either override he veto or not. If they decide to amend the bill to meet the president’s objections, then it becomes a new bill and the process starts over. Bills start either as House resolutions or Senate resolutions, and they generally go through a complex process involving committee hearings, testimony from interested cabinet departments, and a period of passing back and forth. Once the two houses get close to agreement on a bill, it is generally sent to a joint committee from both houses whose job it is to reconcile the differences. The process is frequently lengthy, and it is common for bills to be in the process of finalization from one congressional session to the next. Sometimes bills can never be brought to agreement, and they are said to die in committee; sometimes they fail to pass on the floor of the House or Senate. If you review Article 1, Section 7, you will see that the process appears quite simple. In most cases, it is anything but that. It is important to remember that in amending the Constitution, the president is not involved in any way. The simplest reason for that is that the process of amending the Constitution, which requires the ratification of three quarters of the states, would almost certainly take longer than any presidential term. Therefore it would make no sense to require the president to sign or approve a constitutional amendment. The Constitution was made by “we the people.” It can only be amended by the people. Catherine Drinker Bowen was wise in choosing as the title of her classic work “Miracle at Philadelphia.” If not a miracle, the outcome of the convention certainly was improbable. Nobody was completely happy with the results. Benjamin Franklin expressed it best when he revealed his doubts about the work on the last day of the convention. (See appendix.) On the other hand, the document has endured for well over two centuries and has weathered severe storms. The road to Philadelphia through Mount Vernon and Annapolis was long and arduous. The general discontent in the country, underscored by Daniel Shays’s rebellion in Massachusetts, made it imperative that a firm structure be created. In the end, states’ rights were acknowledged, even as a firm national power came into existence. Compromises were necessary to achieve the result, and they were arrived at with pains. Although Madison was surrounded by men of superior intellect and experience, his role as “Father of the Constitution” is a well-deserved epithet. People may regret that more was not done for women, or that slavery was not more firmly addressed, but the groundwork was laid so that those issues could be addressed, as indeed they were. We tend to think in this age that the writing of the Constitution and its ratification, the setting up of the new government under the Constitution, the early years of Washington’s administration, and indeed the whole series of events in the post-Revolutionary War period had a certain inevitability, that these things were the logical and only possible outcome of the struggle with Great Britain. 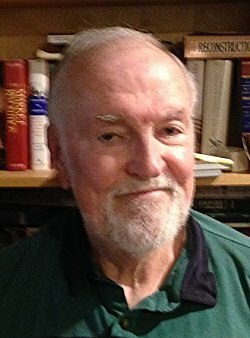 Along with that idea goes the notion that American history was pretty much ordained to come out as it did, that subsequent events would have taken us along the same general path to the future, that America would become the great 20th-century powerhouse that has dominated world affairs for the past sixty years. In fact, particularly if one accepts the general premise of chaos theory as applied to historical events, which we discussed in the opening sessions, nothing at all was inevitable about what happened from 1775 to 1800. In other topic summaries we have discussed Washington as “the indispensable man.” Just suppose that he had gone out riding in December of 1788, got wet and chilled and came down with the disease that killed him in 1799? Suppose that Jefferson had come back from France in time to be elected the first president, or that the honor had gone to John Adams, just back from England, or Madison, the father of the Constitution? All three were great men and made great contributions to our history. 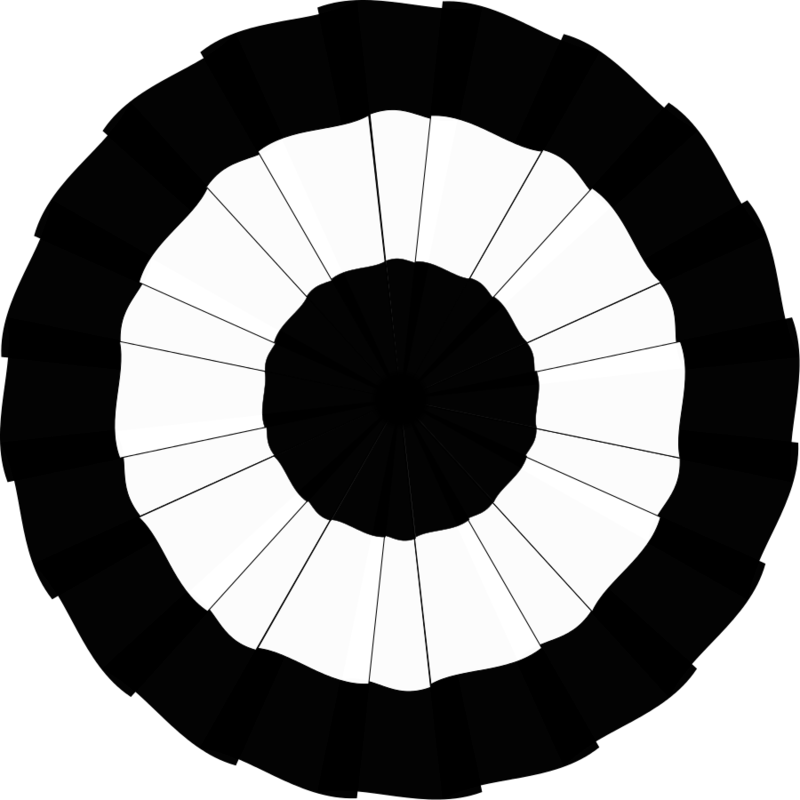 Yet Jefferson was a minimalist with respect to government and might have been comfortable taking the presidency down the road toward irrelevancy, a kind of ceremonial office that followed the general path taken by the British monarchy. Adams was a cantankerous, passionate political infighter who might not have been able to bring the warring factions of Federalists and Republicans to heel. And Madison, brilliant as he was, might, like Jefferson, have brought so little power to the office of President (though perhaps more from personality and “presence” than by design, as compared with his close friend Jefferson) that the office would have evolved in very different ways. Looking back with a more critical eye we can see that the decade of the 1790s was a time of enormous turmoil, both in America and Europe, and the troubles on the two continents were connected in various, not always obvious ways. Certainly the successful American Revolution had its impact on French thinking before and during their Revolution, and we can but wonder at how differently those two upheavals turned out. Yet it is not too great a stretch to suggest that the bloodshed and violence of the French Revolution may have had a dampening effect on political discord in this country even as the struggle in Europe from 1792 to 1815 drove the American political parties even farther apart. It is not difficult to imagine the American Revolution turning out just as badly as the French, had it not been for the right people in the right places at the right time. Few nations in history have had such good fortune as ours, and even with good fortune, we might well have lost it all, as we came perilously close to doing on numerous occasions. What, then were the 1790s about? This age of American history from the beginning of the Revolution through the first years of government under the Constitution is the age of the “founding fathers,” the political giants whom we have elevated to nearly godlike or at least mythical proportions. In so doing we tend to forget that they were human beings with all the faults, foibles, idiosyncrasies, and failings we all have. That they were supremely capable men and women does not alter that fact, and only by digging beneath the myth can we begin to see the person underneath. The problem is that we don’t always like what we find—we prefer our heroes and heroines neat. During the ’60s when American society and culture were coming under close scrutiny, a popular pastime—and indeed a serious undertaking for many historians and biographers—was to attempt to explode the myths and bring those “so-called heroes” down to earth. While for the most part well-intentioned, the effort may at times have gone too far. For in the course of demythologizing those giants, by extension we brought all public figures under closer scrutiny, and many of them did not bear that much attention from the media or other critics very successfully. If we discover that Jefferson and Washington and Lincoln and others were, by our standards, less than democratic or racist or shortsighted in other ways, then what can we expect from lesser men in modern times? When we look closer at men such as Hamilton and Jefferson, however, and examine their characters, we discover that they were very complex individuals who lived in very different times from ours, faced different challenges, and operated on a different set of assumptions. By reading the fine biographies that exist of all those men, we can look at their lives and contributions with more sophistication. 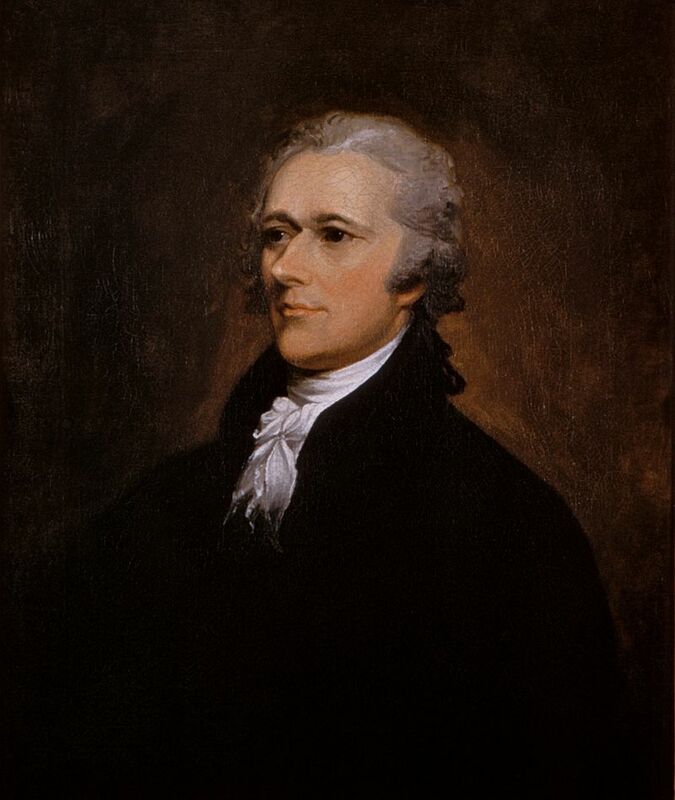 Hamilton was much more in favor of a strong national government than was Jefferson. An immigrant from the Caribbean, Hamilton came to New York in 1773 at the age of sixteen. When the fighting started he joined the Continental Army, an experience that changed the thinking of many young men. John Marshall, the great chief justice, for example, said of his war experience, “I went into the war a Virginian, and came out an American.” Washington, Marshall, Hamilton, and many others lived in a state of almost permanent frustration at how inefficiently the Continental Congress, which evolved into the Confederation Congress, handled the war effort. The states’ representatives were seen as chintzy and narrow minded, putting their own interests first whenever asked to provide supplies and money for the army. Jefferson, who did not serve in the Continental army but remained in Virginia, serving in various capacities of that state’s government, felt for all of his political career a definite loyalty to Virginia. (Robert E. Lee is probably the most famous spokesmen for that idea—he referred to Virginia as “my country.”) Jefferson and his friend Madison were among the first to articulate the “states’ rights” position and open the debate over the issues relating to the limits of federal power that would finally be decided only by Civil War. Whatever their backgrounds, and whatever the reasons for their differences, Hamilton and Jefferson became the focal points of what was probably the period of sharpest political antagonism in American history, so much so that one historian has opined that if the Republicans under Jefferson had not defeated Adams’ Federalists in 1800, the country might have been torn apart. The Constitution transferred control of the national government from the states to the people. As ordinary American voters became keenly interested in political issues and debates, elected officials learned that public opinion, not just the leadership of a social elite, would play a major role in guiding the country’s future. The basic cause for the development of political parties was the ambiguity of republican ideology. The Hamiltonians, or Federalists, stressed the need to create a national economy to preserve the independence of the United States. The Jeffersonians, or Republicans, preferred to keep government small, local, and responsive. Federalists and Republicans agreed upon ends but differed about means. Review: Ratification was a near thing: Massachusetts, Virginia, New York: Less than 5% change in votes out of over 1500 would have defeated ratification: it it entirely possible that ratification of the Constitution would not have passed a popular vote. Thus we should keep in mind that the United States in the 1790s was a very precarious arrangement—it was an experiment that might well have failed. The political figures who assumed office under the new Constitution had varying ideas of how the government should work. Some wanted a strong chief executive to keep order, while others saw the president as merely enforcing the will of Congress. Most political figures were nervous about too much democracy, fearing something like mob rule. The Senate, elected by the state legislatures, was seen as a balance against the excessive democracy of the House, to thwart, when necessary, the will of the people. Elbridge Gerry: The mass of people are “neither wise nor good.” Full democracy in America was still decades off. Thus the new government was an experiment, and no one could be sure how it was going to turn out, or indeed, if it was even going to succeed. In our time we take in for granted that it had to have worked, but the 1790s were a perrilous time, perhaps the most politically divisive decade in American history. Even the revered George Washington did not escape the political vitriol that often spilled out. In the 1780s, the American people met the challenge of self-government. When they discovered that it was dangerous to give themselves too much power, they created governments regulated by a system of checks and balances that protected the people from themselves. The ratification of the Constitution closed an era of protest, revolution, and political experimentation. The future seemed to belong to the free people of a strong nation. The American people had won their sovereignty and accepted the resulting responsibility, and created a new, stronger government based on the Constitution. Yet no one really knew whether this republican experiment would work. The anti-Federalists lost the ratification battle, but because of them the nationalists had to promise to add a bill of rights to the Constitution. By 1791, the first ten amendments had been added. Anti-Federalists had also protested the Constitution’s lack of guarantees for individual rights. To overcome those objections, the Federalists agreed to add the Bill of Rights, the first ten amendments to the Constitution. Congress had to write its own rules—there was no Roberts’ Rules of Order to guide them, only precedents borrowed from the British, and that done very cautiously. That new government had very little bureaucracy—the State Department consisted of Secretary of State Jefferson and a couple of clerks. Jobs and responsibilities of the four cabinet officers—secretaries of State, Treasury, and War and the attorney general—and their “departments” had to be invented, and under the Constitution Congress was required to create a federal court system; the Constitution named only one specifically—the Supreme Court—and even there the number of justices was left to Congress to determine. Because America had been governed by congresses or assemblies since 1775, that branch probably had the easiest time finding its way. Its first major act was to create a federal court system, which was accomplished by the Judiciary Act of 1789. It is interesting that in that very skeptical age that amendment did not get ratified quickly enough to keep pace with the addition of new states. The wheels of government sometimes turn v-e-r-y slowly! 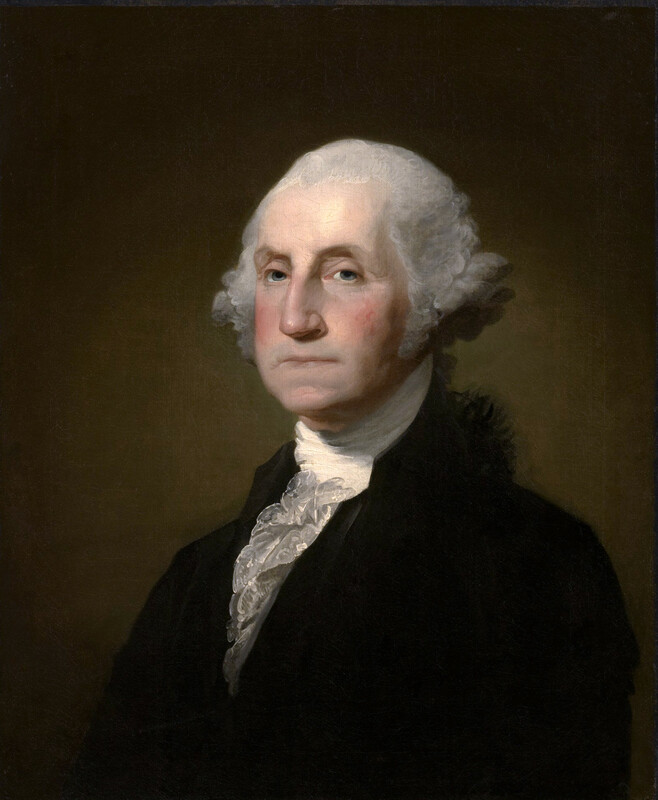 Washington was unanimously elected president in 1789 and thus began his third and final labor in the creation of the United States, and—given the temper of the times—it is fortunate that a man of his character and reputation occupied that office for the first eight years under the Constitution. Even he did not escape the political turmoil, and had to be encouraged to serve a second term lest the government fall apart without his firm hand to guide it. Washington set the tone—he adopted trappings for his office that some found pompous or pretentious, but his purpose was to create an office as a symbol of America that would command the respect of the Europeans, who remained skeptical of this “republican experiment.” Washington, like most of his countrymen, assumed that the government would function smoothly, but it was a trying time. Washinton really wanted to serve only one term; he missed his home at Mount Vernon and his life as a prosperous gentleman farmer. But by the end of Washington’s first term, politics had already become bitter enough that Hamilton urged him to stay, arguing that without his firm hand at the helm, the ship of state might well founder upon the shoals of partisan bickering. Reluctantly, Washington agreed, but to a certain extent lived to regret his decision. In his second term politics continued to become more sharply focused, and even Washington himself was not above the slings and arrows of his partisan opponents. He learned how to play politics, however, as when he withheld the Jay Treaty from the Senate until the time was ripe for its likely approval. Hamilton remained close to him, but Jefferson, his Secretary of State, drifted away, and by the end of Washington’s second term Washington and Jefferson were no longer on speaking terms, a sad situation that continued to the end of Washington’s life. At the end of his second term Washington did retire, leaving his famous farewell address as a guidepost for the future of the nation he had served so well. During his brief retirement Mount Vernon became something of a mecca for people interested in and admirers of the new American Republic. Visitors came in droves from far and near, and were greeted with warm hospitality, although Washington himself kept his traditional aloofness from all but his very closest friends. His retirement lasted less than three years, for he was struck down after becoming chilled while riding during a winter storm; he died on December 14, 1799. He was firm, dignified and cautious. He understood that the separation of powers was important for success of the government. Thus he exhibited respect for Congress, but knew his own place as well. There was little guidance in the Constitution about a cabinet, so the offices had to be created under his guidance: War, State, Treasury and Justice (the Attorney General) were the first cabinet posts. Washington tried not to to make decisions according to politics, but rather according to what seemed best for the nation. In the end he tended to agree with the Federalist ideas of Hamilton. Nota bene: The great Presidents have tended to to be those who are most able to rise above partisan politics when deciding critical issues. Note also: For all his restraint, Washington asserted presidential power, as with the Creek Treaty ratification by the Senate. An excellent recent biography of Alexander Hamilton by Ron Chernow covers Hamilton’s financial ideas in great detail. The book was rated one of the top 10 books of 2004 by the New York Times Book Review. Hamilton can truly be called the father of American capitalism. Whether ones approves of the capitalist system or not, it was still a great achievement by that most controversial of the founding fathers. His achievement as first Secretary of the Treasury was to create a stable and sound federal financial system, without which the economic development of America would have been severaly hampered. Alexander Hamilton was born in the West Indies, had questionable parentage, but through benefactors made his way to America. He eventually married well, became an officer in Washington’s army and was a valued military thinker. After the war he was one of the “nationalists” who believed that the Articles of Confederation needed to be revised to strengthen the national government, and helped get the Constitutional Convention off the ground. He was an active delegate from New York at the Convention and was the only signer from that state. During ratification he authored several of the Federalist Papers, aimed at leaders in his own state who were opposed to the Constitution. That state ratified by a vote of 30-27, and it is safe to say that Hamilton was indispensable in that narrow victory. Washington named his former lieutenant to the post of Secretary of the Treasury, a post from which he managed to get the country under its new Constitution off on a sound financial basis. He did that in large part by getting the wealthy members of American society behind the new government. He has been severely criticized for so doing, both then and later, but the fragile nature of that first attempt at a new republic suggests that it needed all the help it could get. Hamilton is as responsible as anyone for that fact of its survival. One of Hamilton’s acts was to assume all the outstanding state debts under the federal government and fund them at 100% of their original value. That brought profits to wealthy speculators, but it built confidence in the soundness of the government and gave influential people a heavy stake in its success. 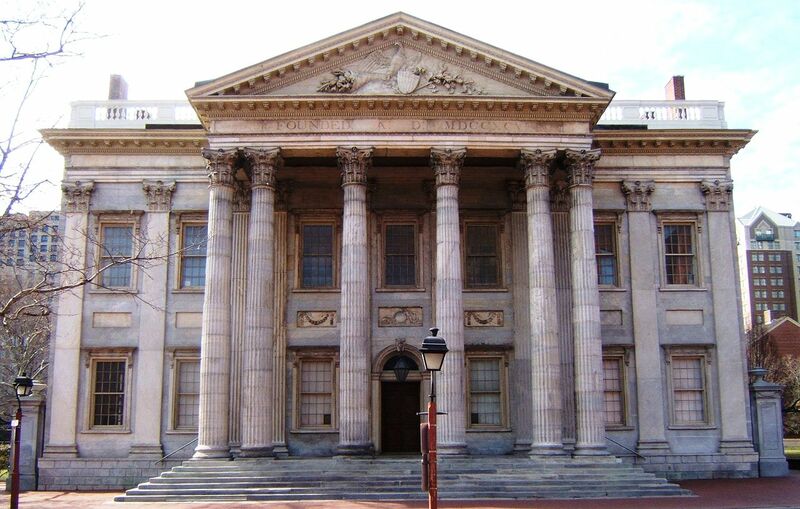 Hamilton also argued that the nation needed a national bank. Although Washington sought Jefferson’s opinion (and the latter was strongly opposed), he went along with Hamilton and the bank was created. It will become a recurring issue as we go forward into the 1800s. Hamilton also issued reports in support of creating a national mint for coinage and supporting manufacturing as a means of advancing America’s fortunes. Hamilton’s exhaustive work—his reports totaled 140,000 words—helped establish the financial foundations of the United States. (Note: Chief Justice John Marshall later uses Hamilton’s “necessary and proper” arguments in McCulloch v. Maryland in upholding the constitutionality of the national Bank. Liberty—Equality—Fraternity! These inspiring words promised for many a continuation of the revolutionary fervor that had sprung up in America decades earlier. Although the American Revolution had yet to demonstrate its staying power, people saw in it the promise of the future, and in 1789 that future seemed to be emerging among the French people. Instead, the French Revolution, while it did indeed reform many aspects of French life, evolved into a spectacle of unspeakable horrors, as thousands of people were executed for political reasons and violence swept across France and spilled out across the rest of Europe. For twenty-five years, the events of the French Revolution and Empire—the Napoleonic Era—dominated not only Europe but the rest of the Western world. 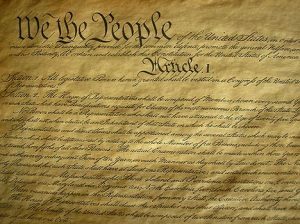 It is fortunate that America got its Constitution written and ratified before the French Revolution got into high gear. Many saw what happened in France during the terror—and under Napoleon—as the inevitable result of an excess of democracy: mob rule, as it was called. Such attitudes would inevitably have affected the formation of the United States had we not completed our Constitution on the very eve of the outbreak in France. Many seeds sown in America were harvested in France: the French were tuned in to what America had done; many veterans of American campaigns participated in the French Revolution, including the Marquis de Lafayette. But the two revolutions had very different outcomes. Washington was no Napoleon; Napoleon was no Washington. Yet the two great events of the late 1700s are inextricably connected. With Thomas Jefferson in Paris as America’s ambassador to France, leaders of the French Revolution naturally look to him and to the United States example for inspiration. We shall not review in detail the course of the French Revolution here, but we will highlight some of the important events. Like Great Britain in the 1760s, France found itself in debt following its wars, including support of America during the Revolution. In 1789 King Louis XVI convened the Estates General, a gathering of leaders of the French Estates: the First Estate (the Church), the Second Estate (the Nobility), and the Third Estate (the middle class and peasants, or Commons.) With republican fervor in the air, the Commons decided to proceed independently, but Louis closed the assembly hall, so the Third Estate retired to a tennis court, where they took an oath not to adjourn until France had adopted a constitution. Joined by members of the clergy and nobility, the assembly designated itself the National Constituent Assembly. As revolutionary feelings continued to mount, violence broke out, and reform-minded revolutionaries stormed the Bastille prison on July 14, 1789. Over the next months new constitutions were written, new governments installed, and eventually King Louis and his wife, Marie Antoinette, attempted to flee Paris in the face of the angry mobs protesting harsh conditions. The royal couple were captured, brought back to Paris, and eventually executed. Not long after, the Revolution degenerated into what was known as the Reign of Terror as thousands of Frenchmen were executed on the guillotine for political reasons. The fury of the French Revolution was seen as a threat to the neighboring monarchies, and in 1792 the wars of the French Revolution erupted. By 1799 as a series of governments had come and gone, Napoleon Bonaparte, the successful general, having put down riots in Paris, proclaimed the consulate that led to his becoming dictator and then emperor in 1804. Over the course of the next decade, Napoleon fought against every major power in Europe with spectacular success. In 1812, however, he made the fateful error of invading Russia, where he saw an army of six hundred thousand reduced to tatters. Removed from power and exiled, he staged a comeback but was finally defeated by the Duke of Wellington at Waterloo at 1815. As a result of the wars of the French Revolution and Empire, much of American public life was dominated by the turmoil in Europe. As a neutral nation, the United States sought to trade to its advantage, but often found that the warring powers made that extremely difficult. Presidents Washington, Adams, Jefferson, and Madison all had to deal with issues arising from the French Revolution and Empire. Political groups and parties: This was a time of great political discord. 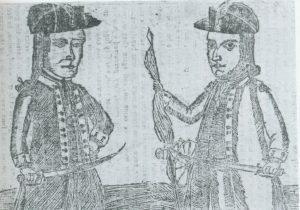 It had begun during the Revolution when the two political groups were Patriots and Loyalists, who at times fought bitterly against each other on the battlefield and in the streets. As we have already mentioned, this was a bitter time in American politics, and personalities were attacked on both sides of the political divide. Much of the anger was based on fear that this experiment in republican government might not survive. In addition, the fear of strong central power that had been expressed during the ratification debates persisted. People were concerned with safeguarding personal freedom and feared that liberty as they understood it might not survive. Those feelings were heightened by the specter of the revolutionary turmoil in France. The Federalist party evolved out of those who supported adoption of the Constitution, its leaders being John Adams (recently returned from his time as ambassador to Great Britain), Alexander Hamilton, John Jay, and Washington. The anti-federalists evolved into the Democratic Republican party. known as Republicans. Their leader was Thomas Jefferson, and although Madison had been an ardent Federalist until the Constitution was adopted, he soon moved into the Republican camp alongside his friend and colleague Jefferson. The two parties both thought they understood the meaning of the American Revolution and the nature of republican government as defined by the Constitution. The stakes were high, and feelings quickly grew bitter between the two parties. Evolved into Whigs in the Jackson years, then Republicans in 1854. Evolved into the Democratic Party under Jackson in 1828. WASHINGTON: Tried to stay “above politics”; was generally sympathetic to Federalists—sided with Hamilton over Jefferson. Probably could be called a Federalist. HAMILTON: Had a noted business-financial bias; believed in original sin—the natural depravity of human beings, therefore strong controls called for; he had authoritarian inclinations and an entrepreneurial spirit. ADAMS: Adams had an agricultural bias but otherwise thought much like Hamilton. He was a true republican, though accused of monarchical sympathies. Deserved a second term as president. 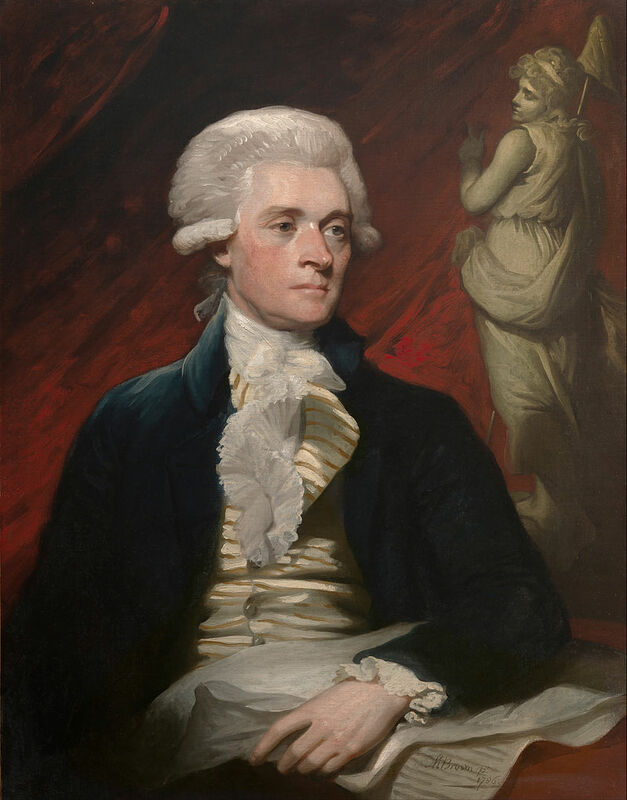 JEFFERSON: He had an agricultural bias; he also believed in human perfectibility and was wedded to ideas of reason and science; he therefore mistrusted government because of his belief in human goodness. MADISON: Began as Federalist but after the Constitution was adopted he turned more toward Jeffersonian ideals and became Jefferson’s disciple and successor as president. Many historians, myself included, believe that Madison was the most brilliant political thinker of the age. 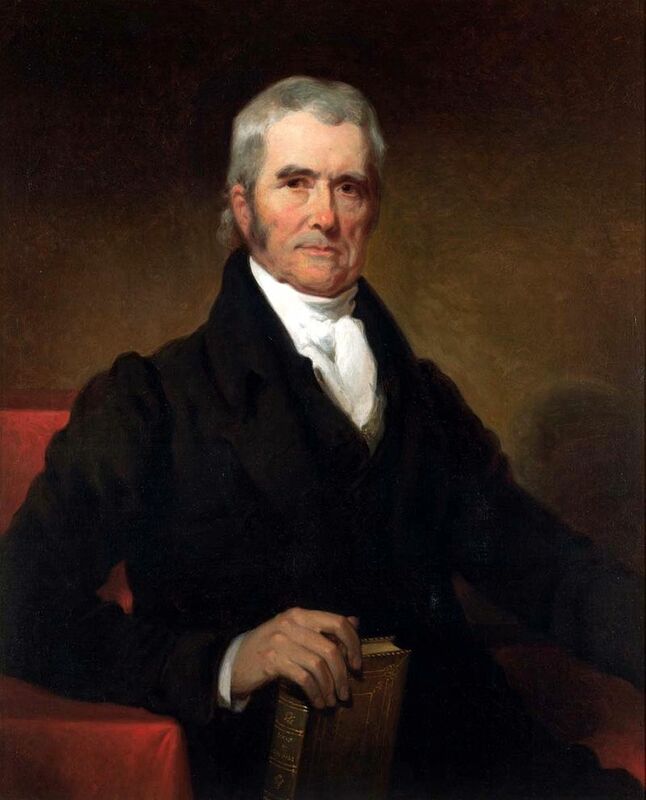 John MARSHALL: He was a strong Federalist who carried out much of the Federalist agenda as chief justice—well into the Madison-Monroe-Jackson years, served as chief justice from 1801 to 1835. In 1783 a French minister, Edmond Charles Genet, known as “Citizen Genet,” arrived in Washington and tried to raise privateers for the purpose of attacking British shipping. Genet was received coolly by the Washington administration, as Federalist leaders perceived the enthusiasm as being directed against the Federalist administration. Washington ordered him to be recalled. Citizen Genet eventually found himself out of favor with the French government and wound up settling in America. In a sense Dickens’s phrase about the best of times and worst of times was applicable to the 1790s in America. Relations were strained between the United States and both Great Britain and France. On the other hand, no power in the world threatened the internal security of the United States, but neither did any nation feel much respect for the new nation. Although the United States was all but invulnerable to sudden attack because of its separation from Europe, the nation had trouble asserting its rights in the international arena. The United States was obviously affected by the wars that emanated from the French Revolution, but considerable disagreements erupted about America’s proper response. Jefferson and his followers, the Republicans, tended to admire France and believed in the promise of the French Revolution—and end to autocratic government. The Federalists, led by Adams and Hamilton, saw the excesses of the French Revolution as a threat to republicanism everywhere as the other nations of Europe recoiled in horror at the violence in France. These disagreements were strongly felt in the political debates in America at the time, and it made the already significant political differences even more bitter. For twenty-five years events in Europe whipsawed young America around and finally brought us to the point of war to defend American rights in a very troubled world. Britain did not feel inclined to follow the 1783 Treaty. The British, in fighting the French and later Napoleon, made attacks on American shipping. According to the British Rule of 1756, ports closed in peacetime were also closed in wartime. British Orders in Council of 1793 in effect interrupted all American trade with France. With Great Britain pushing America hard in an attempt to end American trade with the French enemy, America needed a firm response. 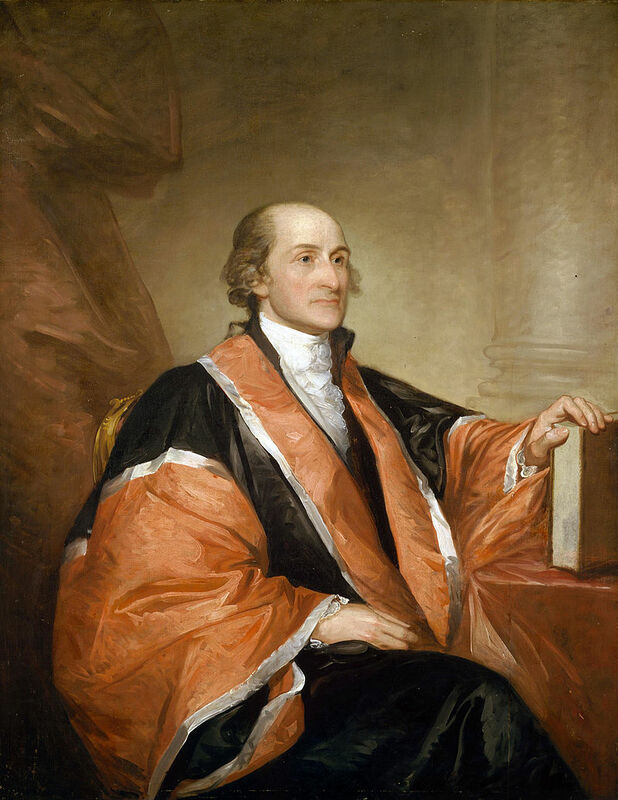 President Washington sent Chief Justice John Jay to England to negotiate outstanding issues such as the removal of British troops from American soil, payment for ships America illegally seized, better commercial relations, and acceptance of the United States as a neutral nation. Jay was hampered by backdoor politicking, which led the British to believe we were less than serious. Jay had little chance of getting a broad treaty, and in fact got very little. If Jay’s Treaty accomplished anything, it postponed war with the British for another seventeen years, during which time America grew stronger. Washington objected to some of the treaty but sent it to the Senate anyway. Over protest, it barely passed. But Jay was burned in effigy and “damned” by many. Yet the treaty accomplished some good: Arbitration was a valuable precedent—you don’t need war to attack differences between nations. The Jeffersonians were strongly opposed to the treaty, and in areas they controlled it was very unpopular: “Damn Sir John Jay! Damn anyone who won’t damn John Jay!” Yet a war with Great Britain in the 1790s would have been very dangerous for the nation, win, lose or draw. Furthermore, Jay’s Treaty led indirectly to Pinckney’s Treaty. The Americans made the Spanish in the Southwest anxious. They were afraid the Americans might team up with their old antagonists and attempt to drive the Spanish out of North America, a notion reinforced by completion of the Jay Treaty. 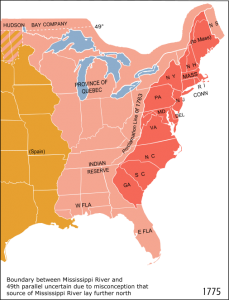 Thus they approached the United States with an offer open the Mississippi to American traffic, to settle the border between Spanish Florida and the United States, and to stop supporting the Indians in the region. Pinckney’s Treaty resolved virtually all of those issues. Most important, Americans got untrammeled use of the Mississippi and the right a free deposit of goods in New Orleans. The chief difficulty was that when Napoleon took the Spanish territory away a few years later, the new treaty rights did not go with the land. Thus began the events that led to the Louisiana Purchase. Jay’s Treaty postponed war with Great Britain for more than a decade and a half and Pinckney’s Treaty of 1795 between the United States and Spain was very important because it guaranteed Midwestern farmers free use of the Mississippi River and the port of New Orleans and indirectly led to the Louisiana Purchase. The Federalists regained some popularity with other treaties that extracted major concessions in the West. Indian resistance in the Northwest Territory was crushed, and Spain agreed to favorable American terms in Pinckney’s Treaty. Ironically, the unpopular Jay Treaty brought advantages to the United States in the West. English posts in the Northwest Territory had supplied and encouraged Indian raids on American settlements. The U.S. Army failed to defeat the Indians until the battle of Fallen Timbers (1794), which led to the Treaty of Greenville and Indian removal from what is now Ohio. While the Indians were in this desperate condition, the English deserted them and pulled back into Canada. In the Southwest, news of Jay’s Treaty was interpreted by the Spanish as an Anglo-American alliance against Spain. To prevent this, the Spanish suddenly offered to open the Mississippi, to settle the disputed border between Spanish Florida and the United States, and to cease supplying the Indians. These offers resulted in the Treaty of San Lorenzo (Pinckney’s Treaty). The Whiskey Rebellion. The Federalists branded the civil unrest caused by the Whiskey Rebellion as Republican agitation. Jefferson felt the Federalists used the episode as an excuse to create an army for the purpose of intimidating Republicans. Washington himself led an army into Pennsylvania to put down the rebellion, and commanded more troops than he had during the Revolution. In 1794, a local tax protest in western Pennsylvania was interpreted by the Federalists as a major insurrection instigated by the Republicans. Jefferson, on the other hand, believed that the crisis had been invented by the Federalists as a pretext to create a strong army to intimidate Republicans. With no limits on the presidency, two terms seemed a modest tenure. 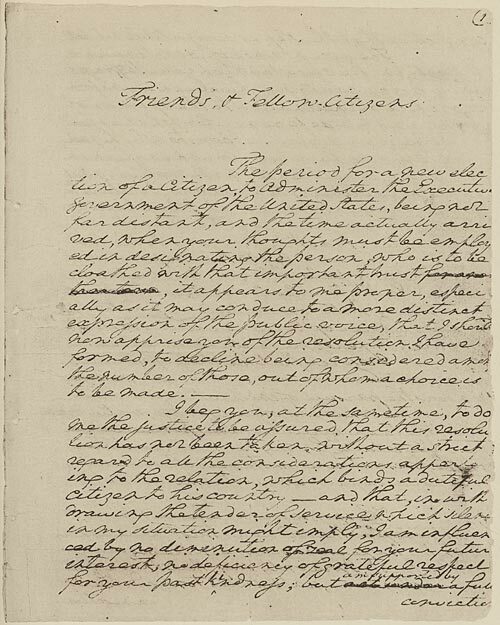 Washington sent his farewell address draft to Alexander Hamilton, who worked on it for three months; Washington used Hamilton’s draft “substantially,” but added his own sentiments. Speaking directly to the citizens of the United States, Washington felt “a solicitude for your welfare, which cannot end but with my life,” and was thus moved to offer advice. It was not until 1949 when the United States entered the NATO alliance that Washington’s advice was set aside. Whoever was chosen to follow in the footsteps of the “Father of his country” was bound to face challenges. Alexander Hamilton was far too controversial to get the nomination, but his influence was still very strong within the Federalist party. His attempt to manipulate the election of May 1796 backfired, which angered newly elected President John Adams. Hamilton tried to control the Adams administration from the outside and eventually contributed to the Federalist party’s loss of control of the government. During the first years of Adams’s presidency, relations between the United States and France steadily deteriorated. 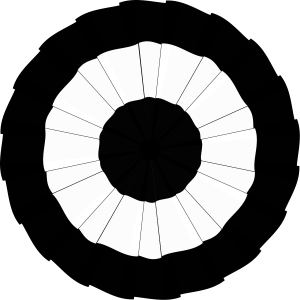 The problem was aggravated by Jay’s Treaty, which angered the French, who took it as directed against them. 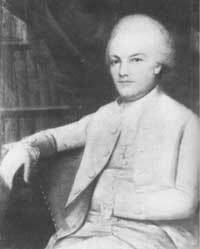 When President Adams named Charles Cotesworth Pinckney as minister to France in 1796, the French refused to receive him. President Adams then sent a commission to Paris to attempt to gain a new treaty, sending John Marshall and Elbridge Gerry to join Pinckney. Although the Americans were greeted unofficially, before negotiations could begin, they were informed by three agents of French Foreign Minister Talleyrand, identified in reports as Ministers X, Y, and Z, along with a beautiful woman who may have been sent to distract and perhaps spy on the Americans, that negotiations were delayed. They were then informed that for talks to begin, France would need a bribe of $240,000 and promise of a loan. John Marshall replied firmly that no bribe would be forthcoming, and he and Pinckney left, leaving Gerry behind, as they were told that unless one of the three stayed, France would declare war. 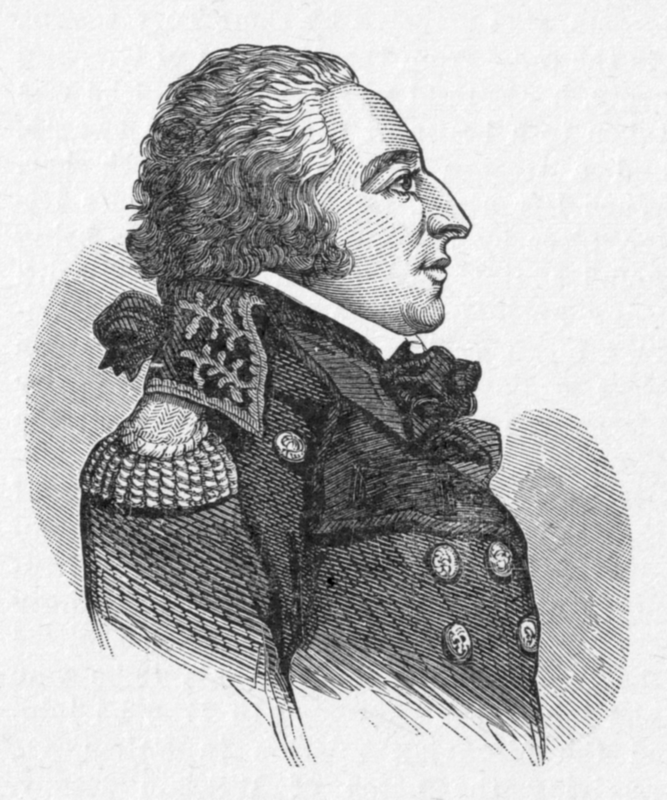 President Adams informed Congress of the failure, and when criticism erupted, he “laid the correspondence on the table.” Americans rose in anger, declaring “millions for defense, but not one cent for tribute.” Some Federalists called for a declaration of war, but Adams pursued a peaceful approach, though he called for the raising of an army, with Washington in command, reorganized the navy, and reconstituted the marine corps. Tensions continued to rise as Congress authorized privateers to seize French ships. A state of war known as the “Quasi-War” began and lasted for two and one-half years. The Federalists used the outpouring of anti-French sentiment in America as an excuse to increase the nation’s military defenses, a move intended to stifle internal political opposition as well as thwart French aggression. The extreme Federalists secured legislation to build up the army, even though there was no prospect of a French invasion. The Federalists intended to use the army to stifle international opposition. With Washington in nominal command, Alexander Hamilton took over day-to-day control of the army and filled it with officers loyal to himself. All Hamilton needed was a declaration of war against France, but Adams refused to ask for one. In order to thwart open criticism of their actions, but purportedly to protect American security, the Federalist Congress passed the Alien and Sedition Acts of 1798. The Acts were, in reality, Federalist measures designed to harass Republican spokesmen by disallowing criticism of the government. These blatantly political attempts to silence opposition ultimately proved counterproductive. If any person shall write, print, utter or publish, or shall cause or procure to be written, printed, uttered or published . . . any false, scandalous and malicious writing or writings against the government of the United States, or either house of the Congress of the United States, or the President of the United States, . . . or to stir up sedition within the United States, or to excite any unlawful combinations therein, for opposing or resisting any law of the United States, . . . then such person, being thereof convicted before any court of the United States having jurisdiction thereof, shall be punished by a fine not exceeding two thousand dollars, and by imprisonment not exceeding two years. The Alien Enemies Act and the Alien Act gave the president power to expel any foreigner. The Naturalization Act required immigrants to reside in the United States for fourteen years before becoming eligible for citizenship. The Sedition Act made it a crime to criticize the government, and federal courts became politicized, often enforcing this law in absurd ways. Republicans were convinced that free government was on the brink of extinction. Although the Sedition Act was later declared unconstitutional and repealed, Republican newspaper editors and writers were fined or jailed. The Alien Acts were never used. 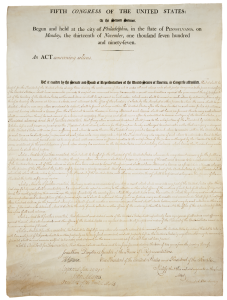 Jefferson and Madison responded to the Alien and Sedition Acts with the Virginia and Kentucky Resolutions (1798). 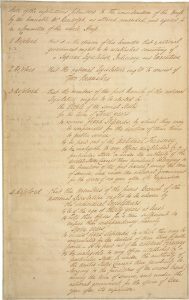 The Kentucky Resolutions, written by Jefferson and passed by the state of Kentucky, claimed each state had the power to decide whether acts of Congress were constitutional and if not, to nullify them. 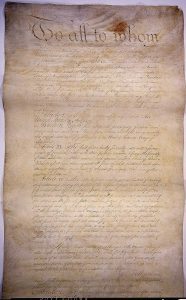 Madison’s Virginia Resolutions urged the states to protect their citizens but did not assert a state’s right to nullify federal law. Jefferson and Madison were less interested in constitutional theory than in clarifying the differences between Republicans and Federalists. The resolves were the first shot taken at the right of a state to nullify federal laws and were a step in the long-lasting battle over states’ rights. Some threatened open rebellion if the acts were not repealed. Republicans could not take the case to court because they hated the courts and did not want to give them any more power. The situation was another example of the Constitution being seen as an experiment—far more fragile than we realize today. Nullification and even secession were spoken of long before the Civil War. The Convention of 1800 finally cleared the air with France as the United States agreed to assume $20 million in debts in exchange for abrogation of the 1778 treaty. Having refused to ask Congress for a formal declaration of war against France, Adams pursued peaceful negotiations. The Convention of Mortefontaine ended the Quasi-War and restored good relations between France and the United States. In 1799 Adams openly broke with Hamilton. The president sent another delegation to negotiate with France, and this delegation worked out an amicable settlement. The war hysteria against France vanished, and the American people began to regard Hamilton’s army as a useless expense. In avoiding war with France, Adams saved the nation from the schemes of the High Federalists. In return, they made sure he lost the election of 1800. The election of 1800 is perhaps most noteworthy for the peaceful transition of government leadership from one political party to that of the opposition, demonstrating that such a process could be accomplished without widespread confusion, villainy, or violence. 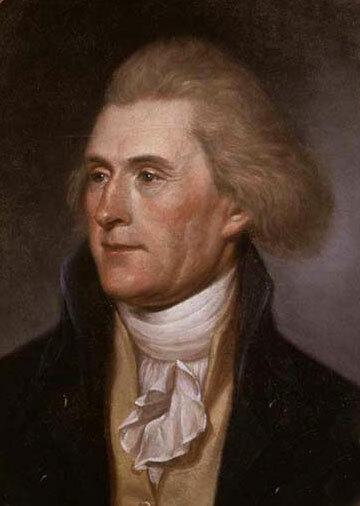 The new president, Thomas Jefferson, tried to unite the nation by stressing in his inaugural address the republican values shared by members of both parties. The election of 1800 is one of the most important in our history because the transfer of power from Federalists to Republicans was achieved peacefully. Republicans Thomas Jefferson and Aaron Burr challenged Adams and Charles Cotesworth Pinckney for the White House in 1800. The Federalists had a number of strikes against them including the Alien and Sedition acts, the taxes that were raised to support the army that was seen as unnecessary, suppression of the Whiskey Rebellion, and Jay’s Treaty. When the final results were tallied, Jefferson and Aaron Burr each had seventy-three electoral votes. The election was then thrown into the House, still controlled by Federalists, and many of them threw their support to Aaron Burr. The election was deadlocked through thirty-five ballots until Hamilton finally convinced several reluctant Federalists that Jefferson was a lesser evil than Burr, and Jefferson was elected. The Federalists lost office in 1800 partly as a result of internal party disputes, but more importantly, because they lost touch with American public opinion. The Federalists also lost the election of 1800 because they were internally divided and generally unpopular. The Republicans won easily, but now they would have the responsibility to govern, and as many subsequent parties and candidates have discovered, it is one thing to win an election, quite another to govern effectively. For a time, at least, the Republicans would have it their way. Several points about Jefferson’s election in 1800 are notable. First, Jefferson called the election a “revolution” because political power in a major nation changed hands with no bloodshed, a rare occurrence in the modern world. Only the “Glorious Revolution” of 1688 could compare. Second, although it was not considered proper to “run” openly, Jefferson worked hard behind the scenes to get elected. The Federalists linked Jefferson to France, and Jefferson woeked to dispel thise fears. Third, a peculiarity existed in the Electoral College in that there was no distinction between presidential and vice-presidential electors: The resulting tie sent the election into the House. The Twelfth Amendment corrected the problem, and only one subsequent election was decided by the House of Representatives, the election of 1824. The Federalist contribution: The Federalists were out of power, but they had wrought a new Constitution and gotten it underway, a considerable feat. Thus ended the era of the American Revolution with the country in many ways weak and insecure. But as Jefferson pointed out in his inaugural address, the American nation was strong and secure because the people had found a system in which they could believe, even as they argued and fought over its execution. Alberts, Robert C. Benjamin West: A Biography. Boston: Houghton Mifflin. 1987. Alden, John R. George Washington: A Biography. Baton Rouge: Louisiana State Univ. Press, 1984. Bailyn, Bernard. Faces of Revolution: Personalities and Themes in the Struggle for American Independence. New York: Knopf: Distributed by Random House, 1990. Beard, Charles, A. An Economic Interpretation of the Constitution of the United States. New York, The Macmillan Company, 1936. Berkin, Carol. A Brilliant Solution: Inventing the American Constitution. Boston: Mariner, 2003. Bowen, Catherine Drinker. 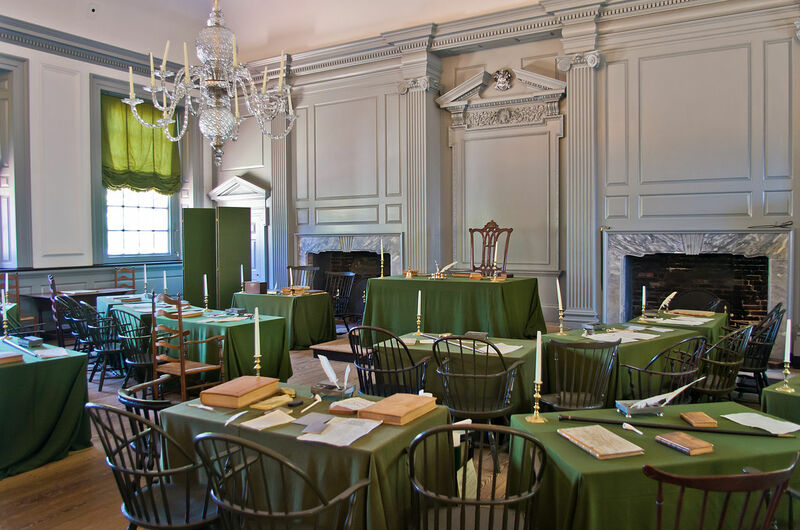 Miracle at Philadelphia: The Story of the Constitutional Convention May to September 1787. Boston, Little, Brown, 1966. Brookhiser. Richard. Gentleman Revolutionary: Gouverneur Morris, the Rake Who Wrote the Constitution. New York: Free Press, 2003. Burke, Edmund. 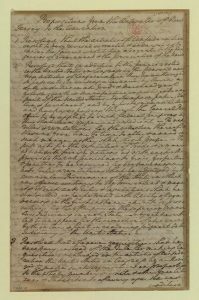 On the American Revolution; Selected Speeches and Letters. Edited by Elliott Robert Barkan. New York, Harper & Row 1966. Cappon, Lester J., ed. 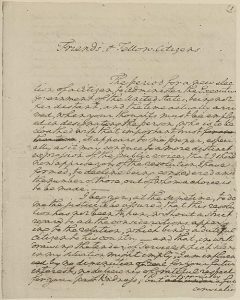 The Adams-Jefferson Letters: The Complete Correspondence between Thomas Jefferson and Abigail and John Adams. 2 vols. Chapel Hill: Univ. of North Carolina Press. 1959. Catton, Bruce and William B. Catton. The Bold and Magnificent Dream: America’s Founding Years, 1492-1815. New York: Doubleday, 1978. Commager, Henry Steele and Richard B. Morris, eds. The Spirit of Seventy-Six: The Story of the American Revolution As Told by Participants. New York, Harper & Row, 1967. Curry, Thomas J. The First Freedoms: Church and State in America to the Passage of the First Amendment. New York: Oxford University Press, 1986. DePauw, Linda Grant. Founding Mothers: Women in America in the Revolutionary Era. Boston: Houghton Mifflin, 1975. Ferling, John E. The First of Men: A Life of George Washington. Knoxville: Univ. of Tennessee Press, 1988. Flexner, James Thomas. George Washington: A Biography. 4 vols. Boston: Little, Brown, 1965-1972. Hall, Kernit. The Oxford Companion to the Supreme Court of the United States. New York: Oxford, 1992. Hamilton, Alexander, John Jay and James Madison. The Federalist: A Commentary on the Constitution of the United States. Various Editions. Jameson, J. Franklin. The American Revolution Considered as a Social Movement. Princeton, N.J., Princeton University Press, 1967. Jensen, Merrill. The New Nation: A History of the United States During the Confederation, 1781-1789. New York, Knopf, 1950. Kammen, Michael. A Machine That Would Go of Itself: The Constitution in American Culture. New York: St. Martin’s Press, 1994. Kelly, Alfred H., Winfred A. Harbison and Herman Belz. 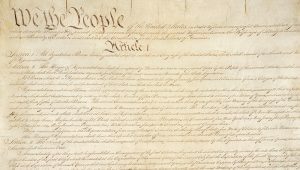 The American Constitution: Its Origins and Development. 7th ed. New York: Norton, 1991. Madison, James. Notes of Debates in the Federal Convention of 1787. With an intro. by Adrienne Koch. Athens: Ohio University Press, 1966. Madison, James. Writings. Edited by Jack N. Rakove. New York: Library of America, 1999. Maier, Pauline. 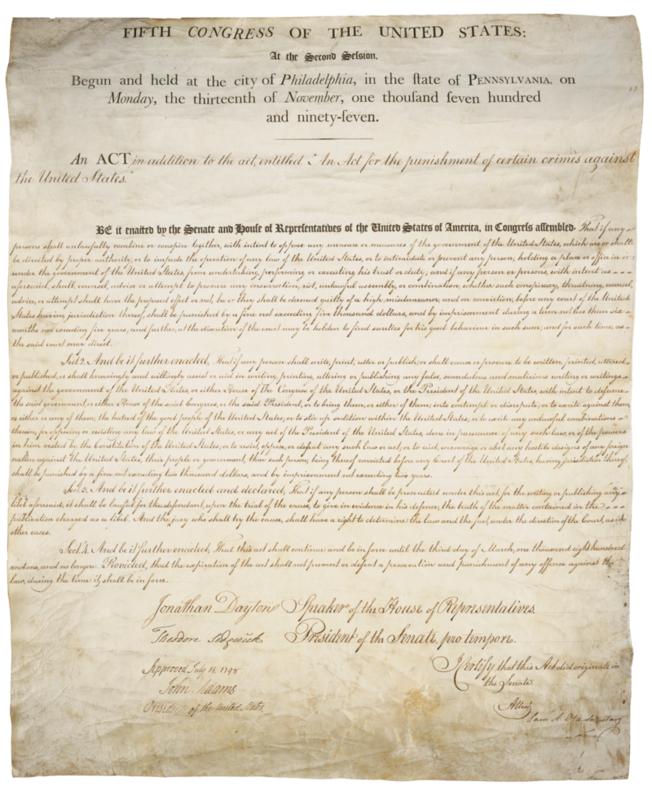 Ratification: The People Debate the Constitution, 1787-1788. New York: Simon and Schuster, 2011. McDonald, Forrest. E Pluribus Unum: The Formation of the American Republic 1776-1790. Indianapolis: Liberty Press, 1979. McDonald, Forrest. Novus Ordo Seclorum: The Intellectual Origins of the Constitution Lawrence, Kan.: University Press of Kansas, c1985. McDonald, Forrest. Alexander Hamilton: A Biography. New York: Norton, 1982. Middlekauf, Robert. The Glorious Cause: The American Revolution, 1763-1789. New York: Oxford Univ. Press., 1982. Miller, Helen Hill. George Mason: Gentleman Revolutionary. Chapel Hill: Univ. of North Carolina Press, 1975. Miller, John C. The Federalist Era 1789-1801. New York, Harper, 1960. Miller, William Lee. The Business of May Next: James Madison and the Founding. Charlottesville: Univ. Press of Virginia, 1992. Mintz, Max M. Gouverneur Morris and the American Revolution. Norman: Univ. of Oklahoma Press, 1970. Morgan, Edmund S. The Genius of George Washington. New York: Norton, 1980. Morris, Richard B. The Forging of the Union 1781-1789. New York: Harper & Row, 1987. Pole, J.R., ed. The American Constitution For and Against: The Federalist and Anti-Federalist Papers. New York: Hill and Wang, 1987. Randall, Willard Sterne. Thomas Jefferson: A Life. New York: H. Holt, 1993. Randall, Willard Sterne. George Washington: A Life. New York: H. Holt, 1997. Smith, Page. The Constitution: A Documentary and Narrative History. New York: Morrow, 1978. Smith, Page. A New Age Now Begins: A People’s History of the American Revolution. 2 v., New York: McGraw-Hill, 1976. Smith, Page. The Shaping of America: A People’s History of the Young Republic. New York: McGraw-Hill, 1980. Smith, Richard Norton. Patriarch: George Washington and the New American Nation. Boston: Houghton Mifflin, 1993. Wood, Gordon S. The Radicalism of the American Revolution. New York: A.A. Knopf, 1992.